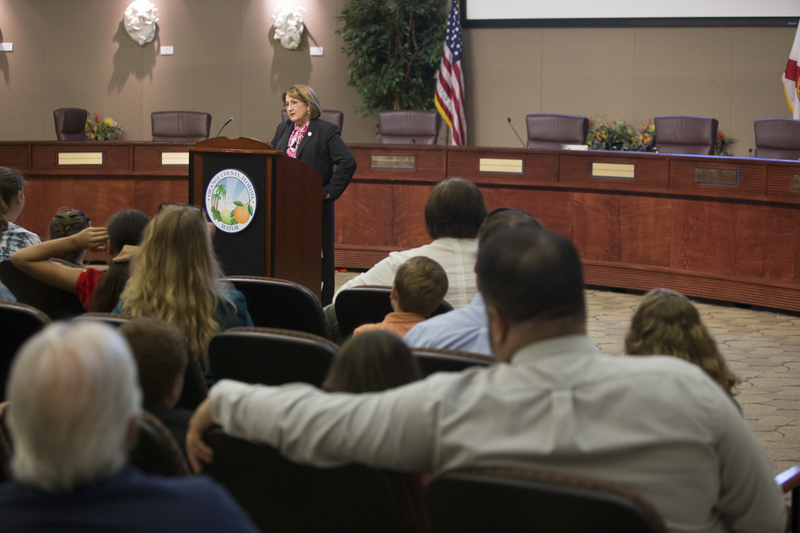 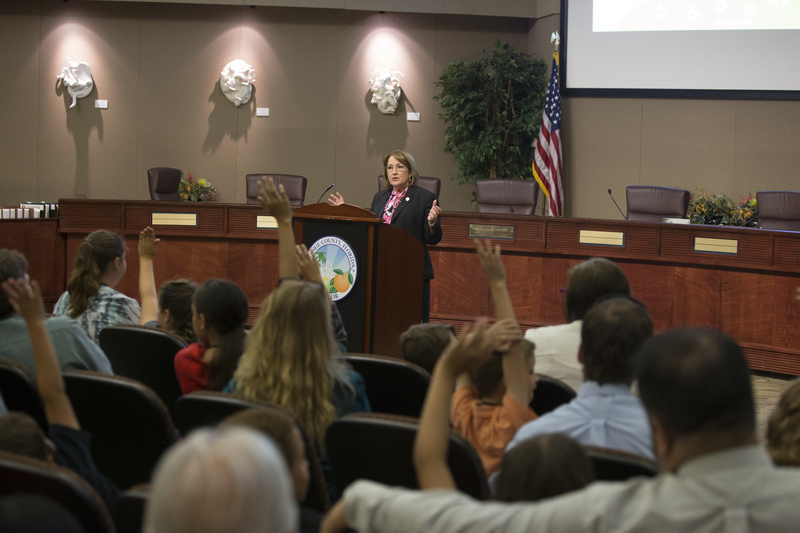 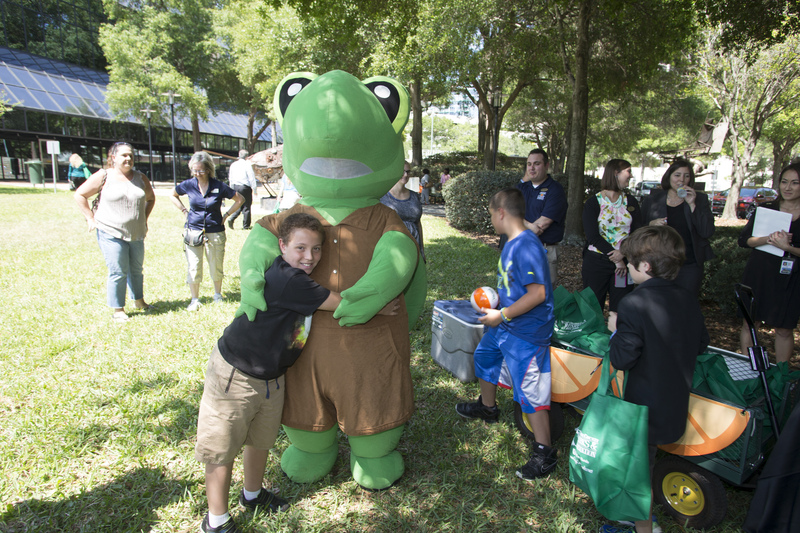 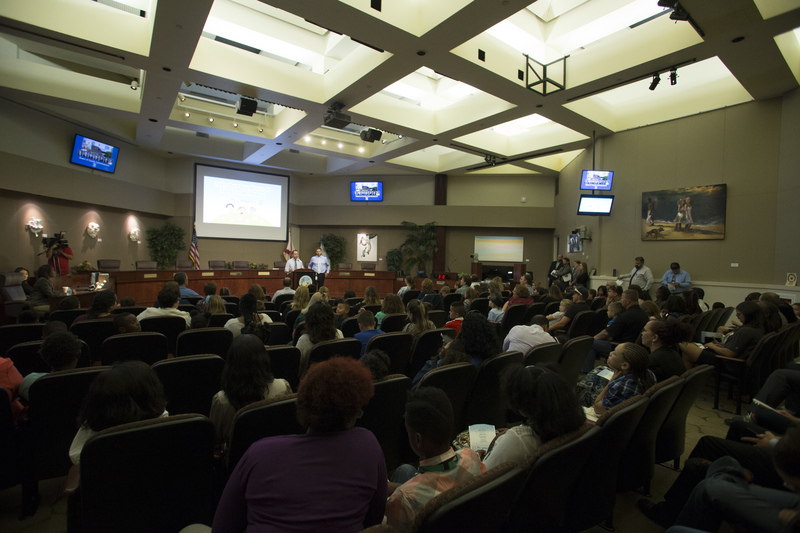 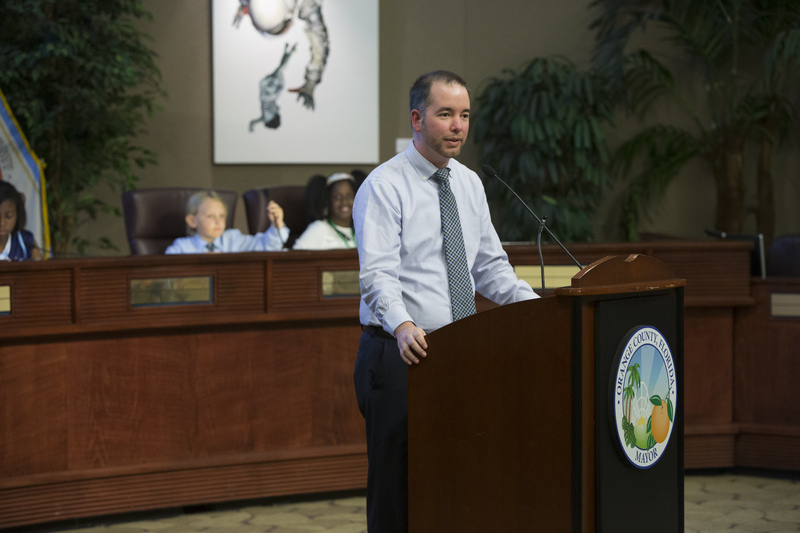 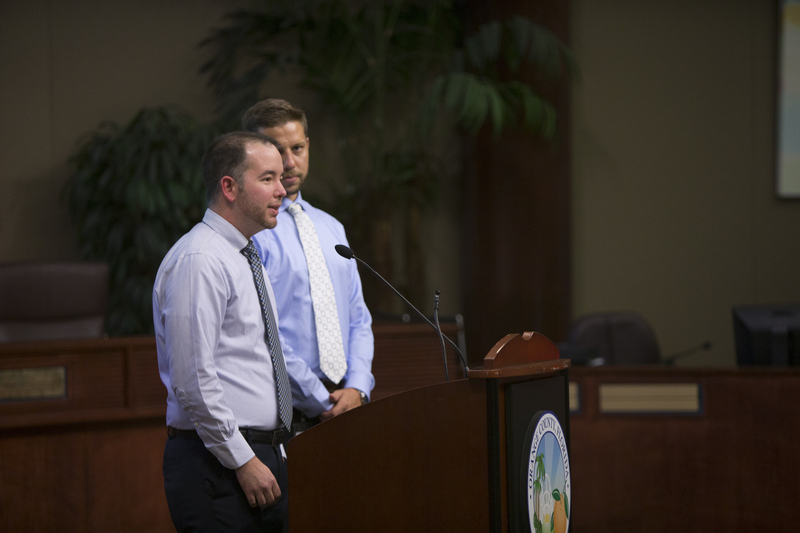 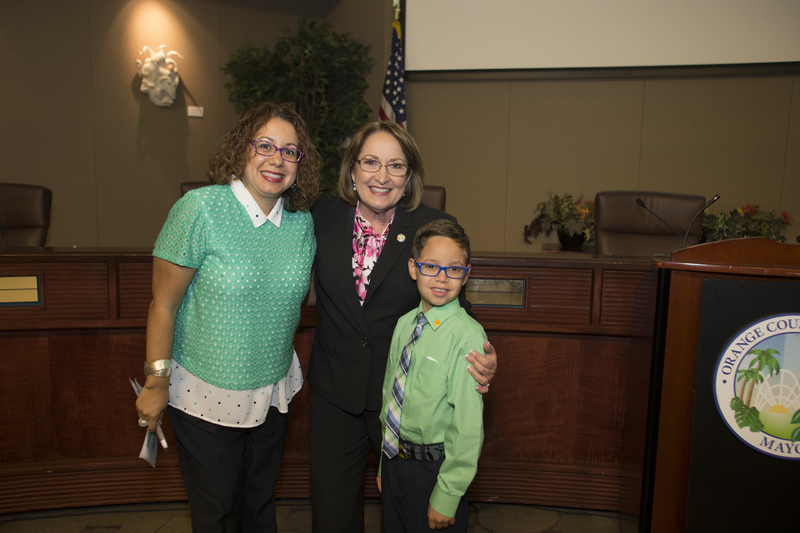 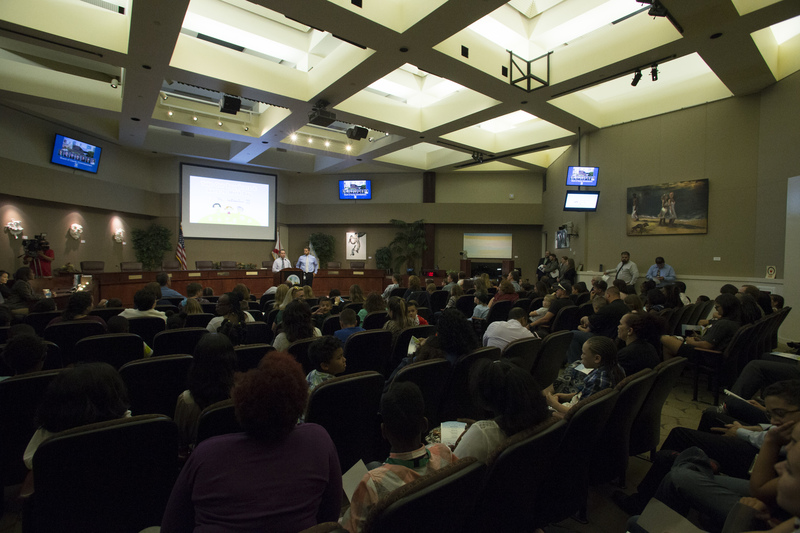 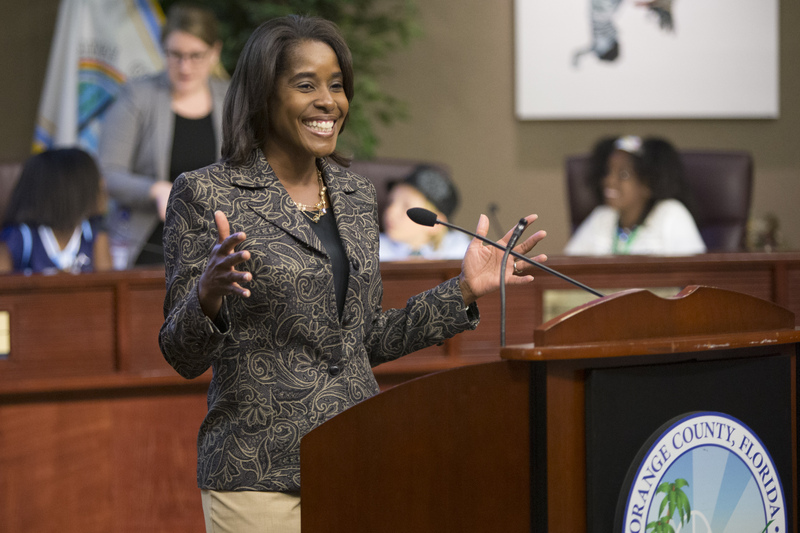 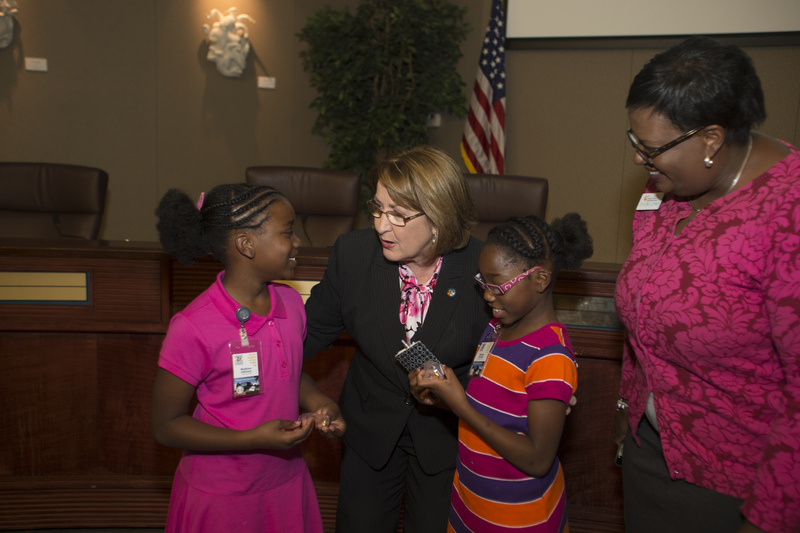 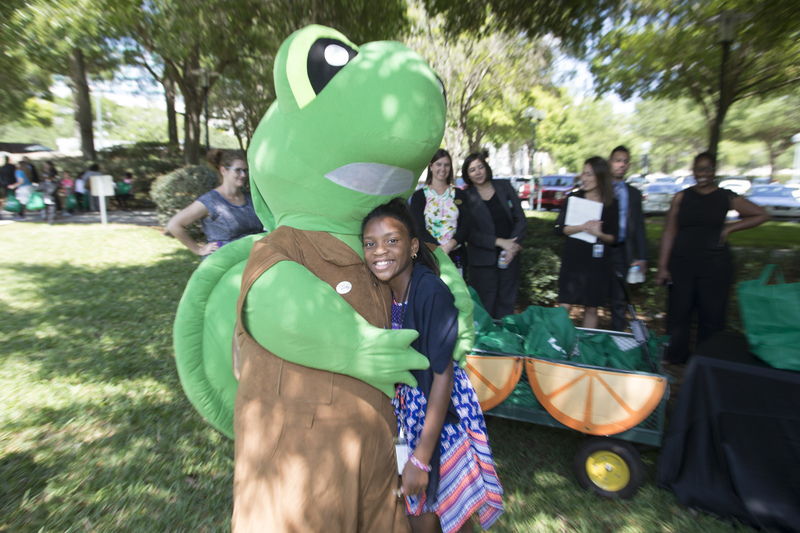 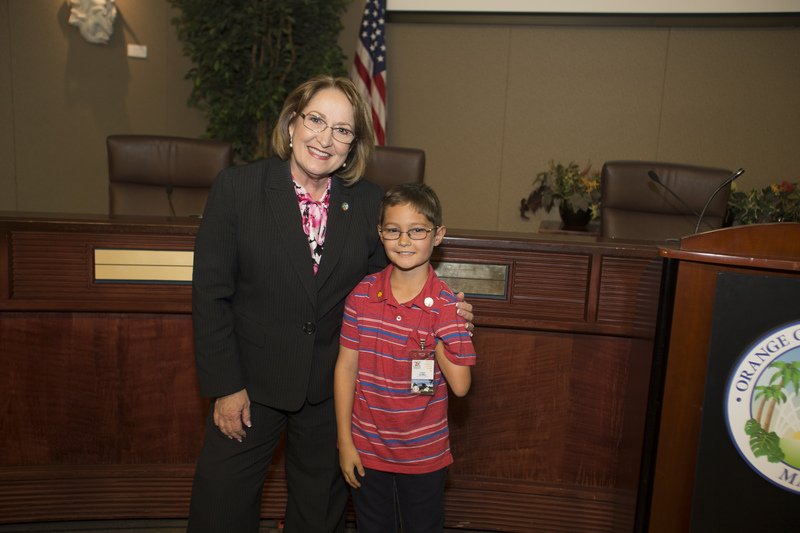 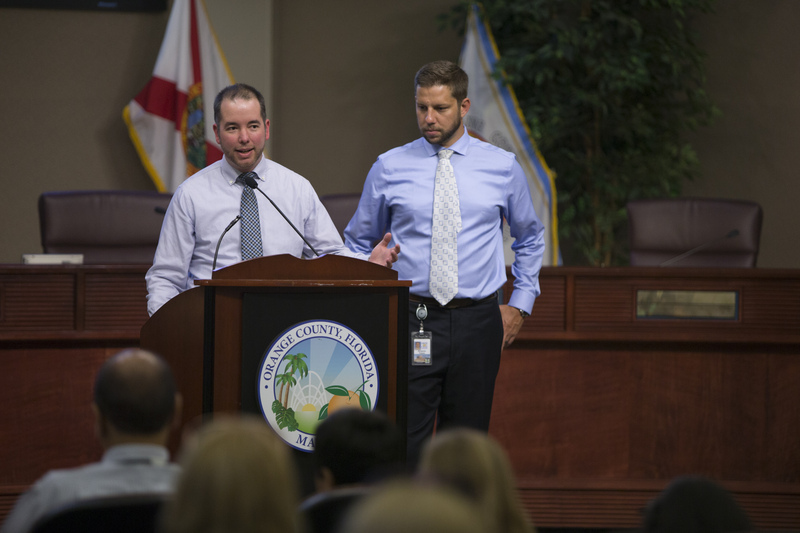 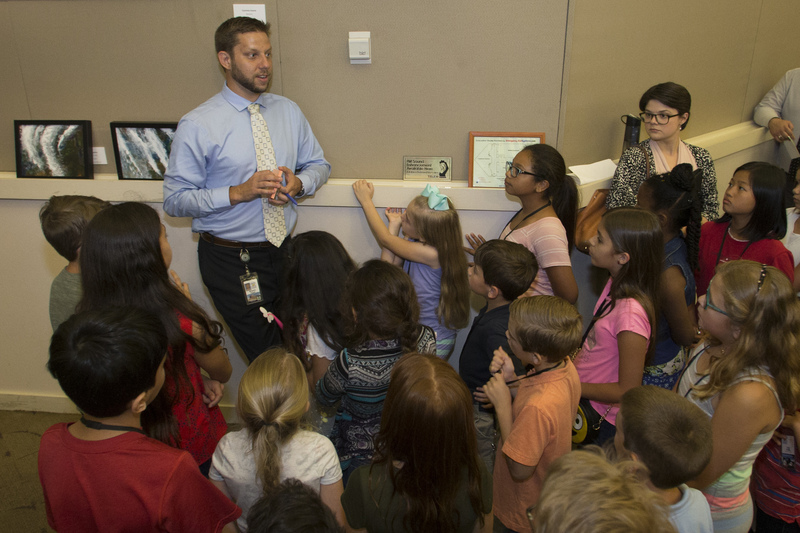 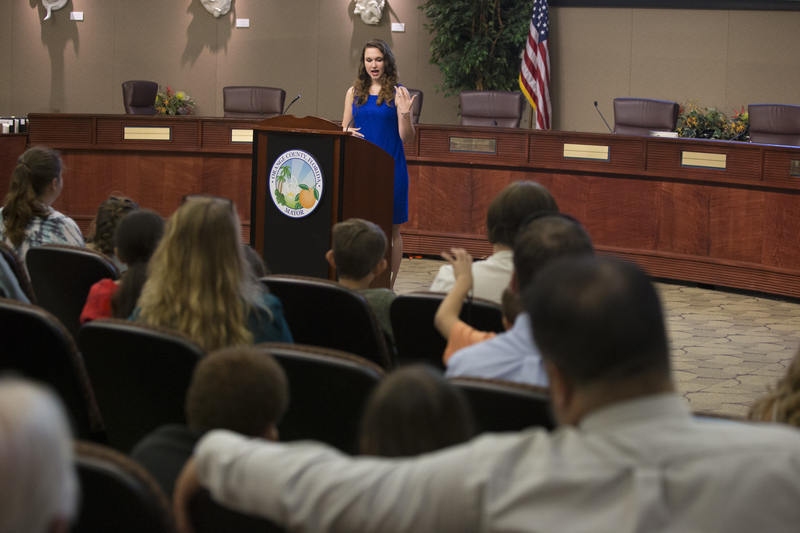 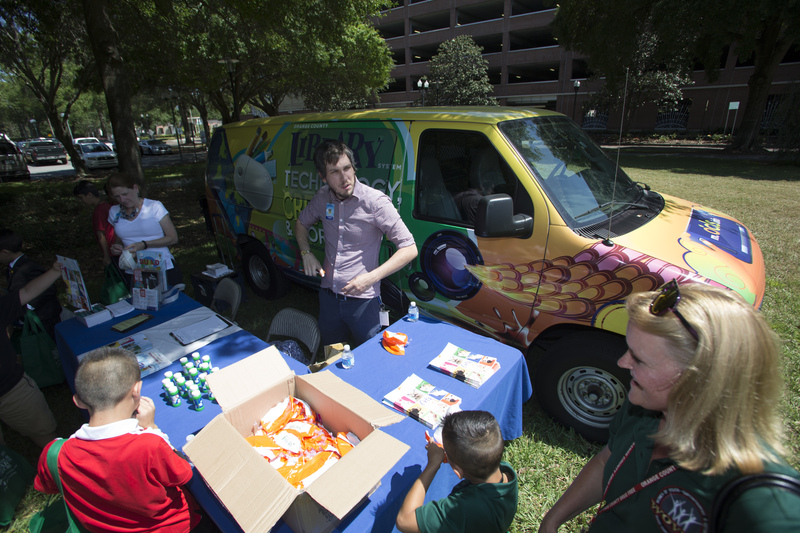 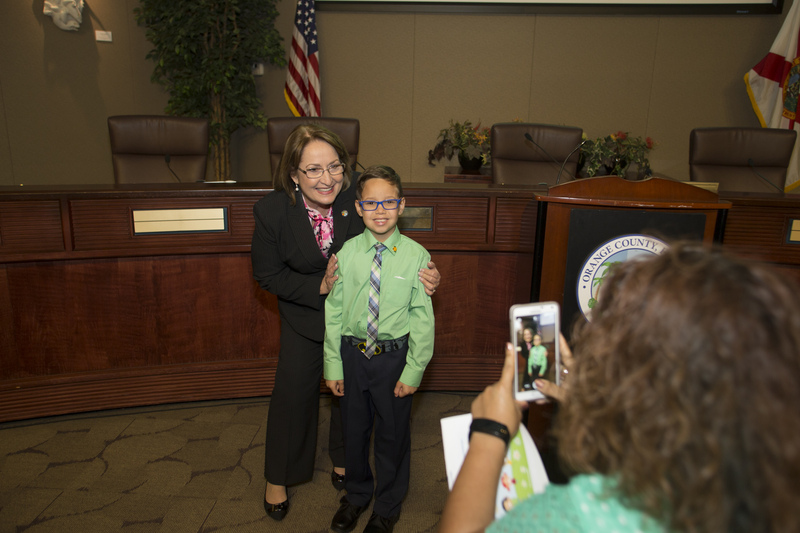 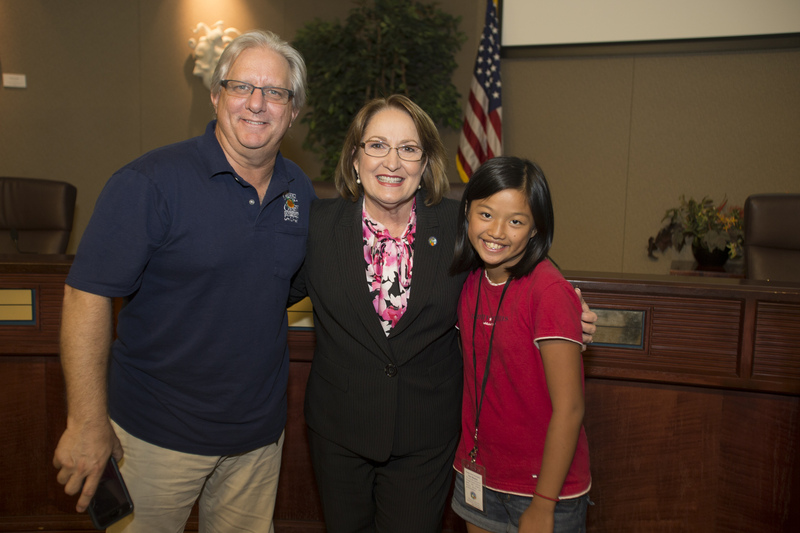 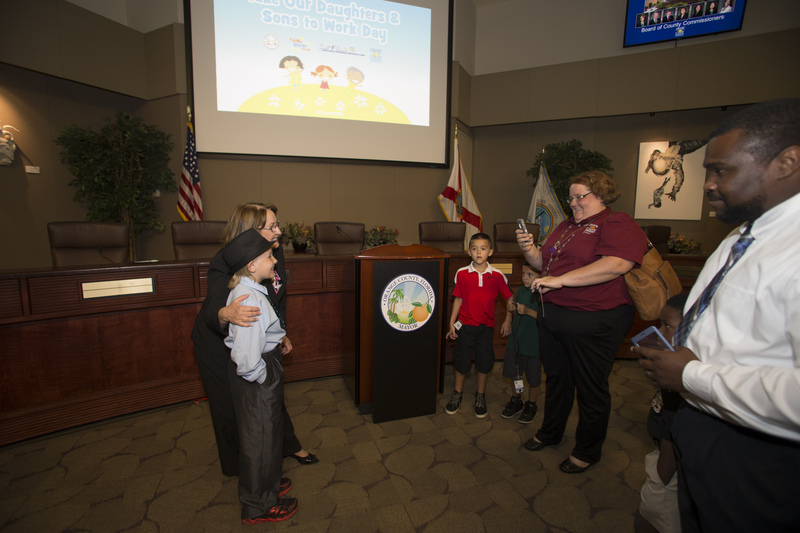 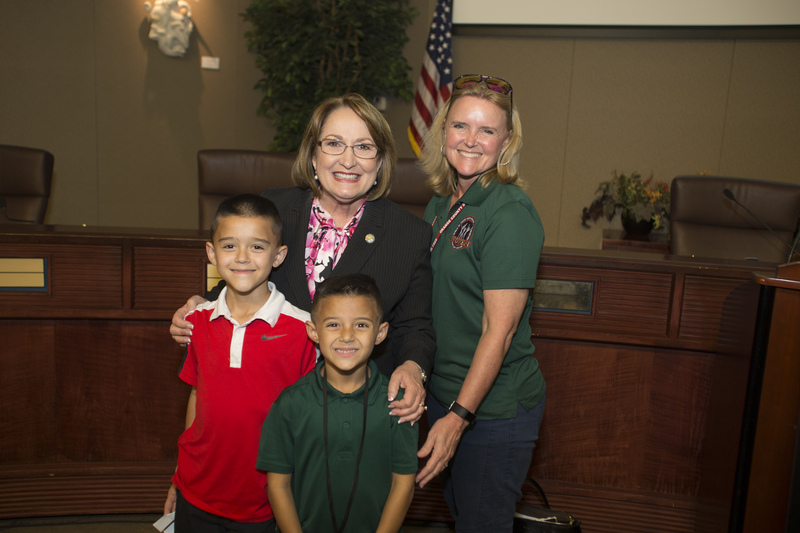 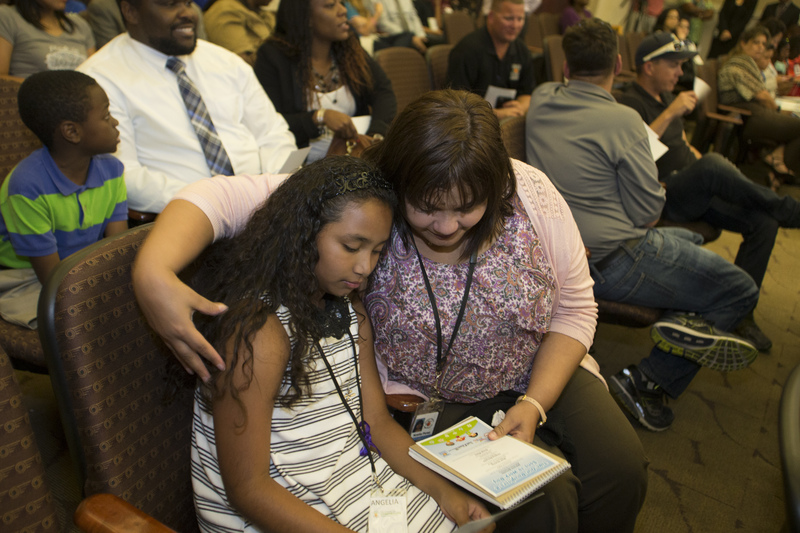 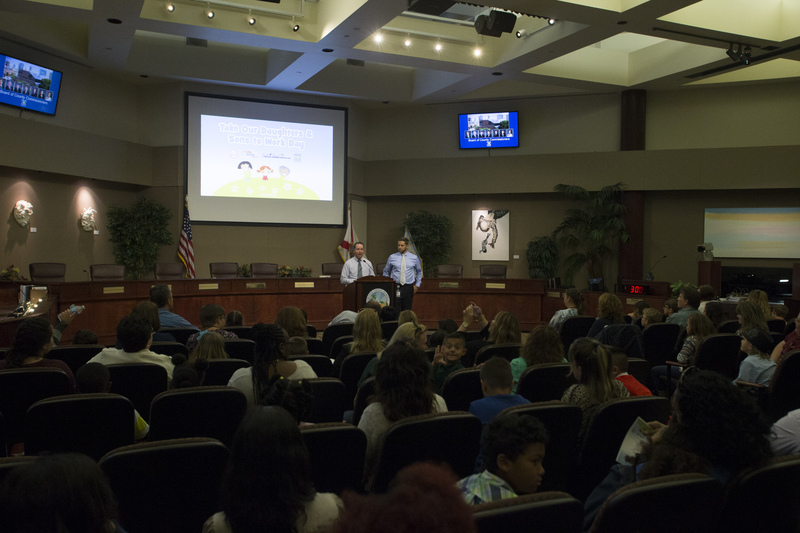 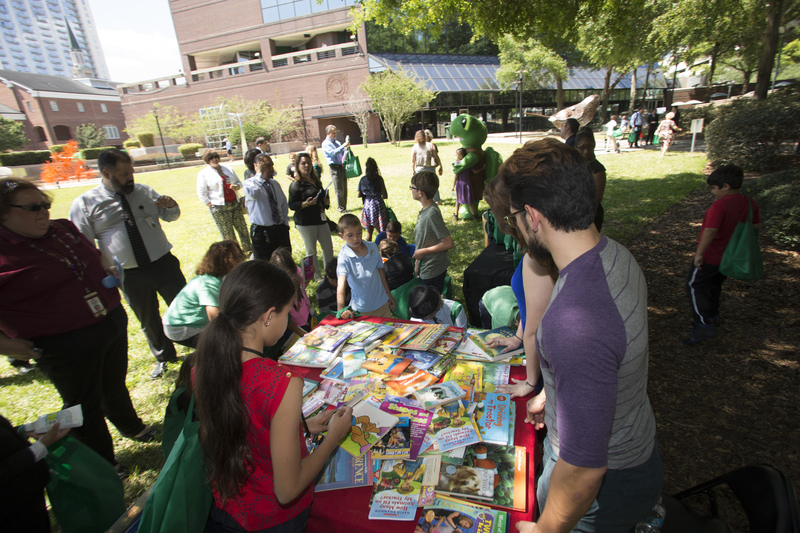 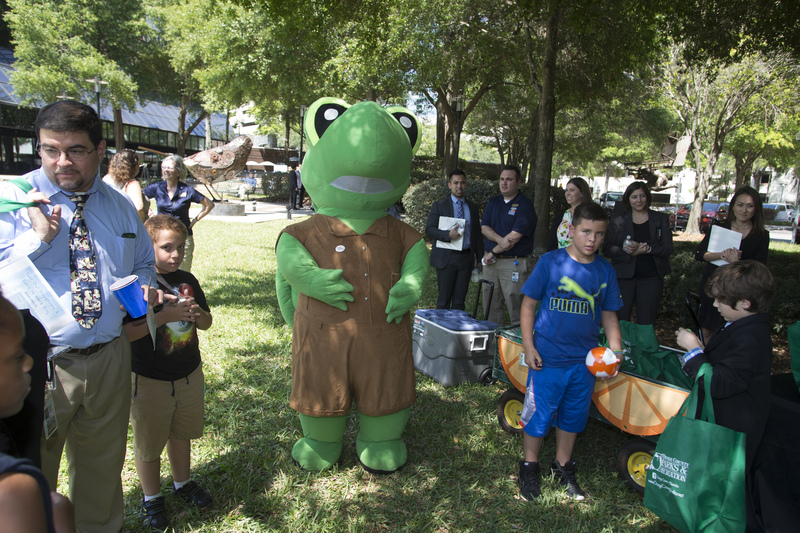 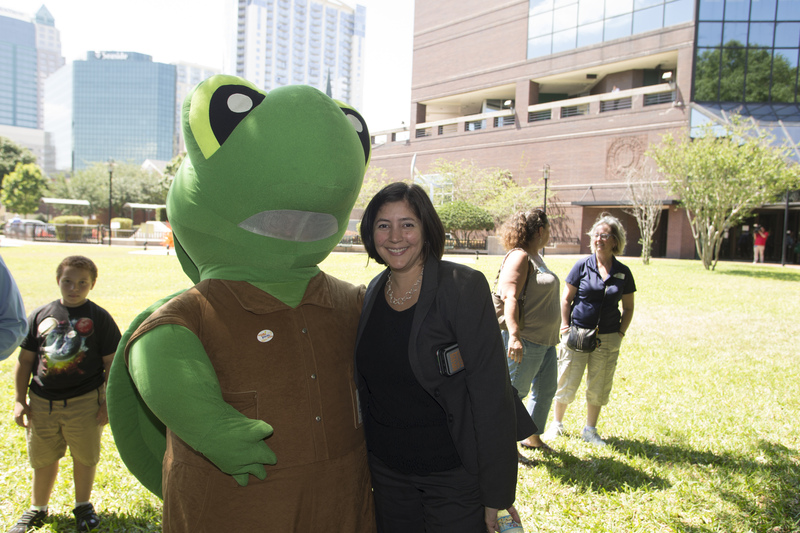 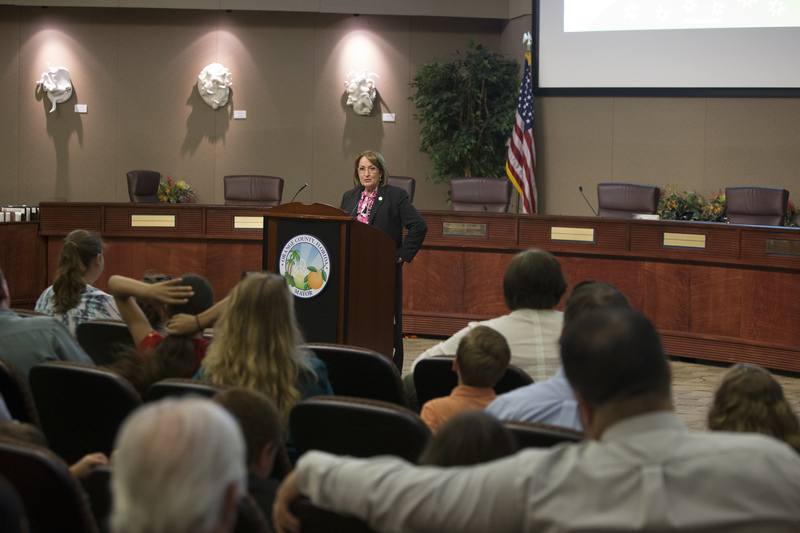 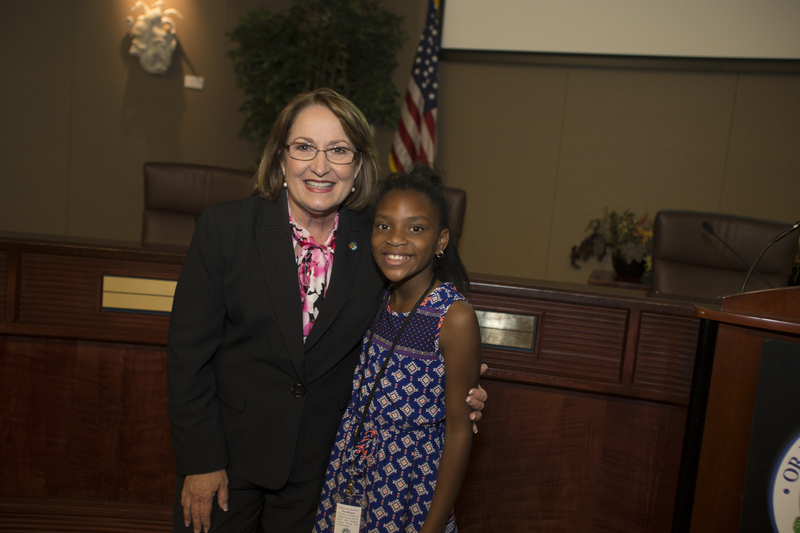 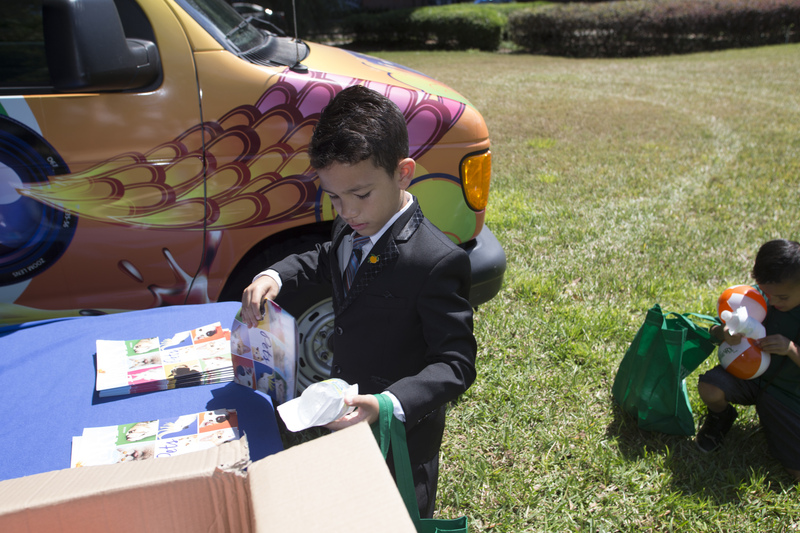 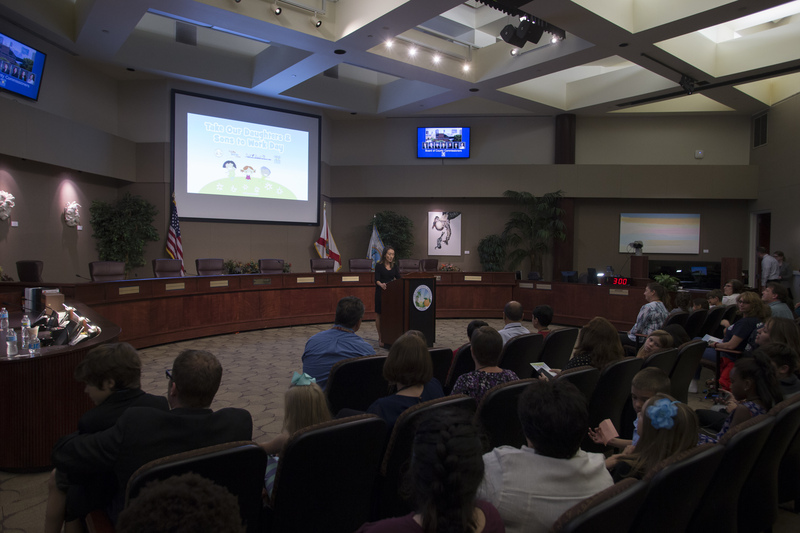 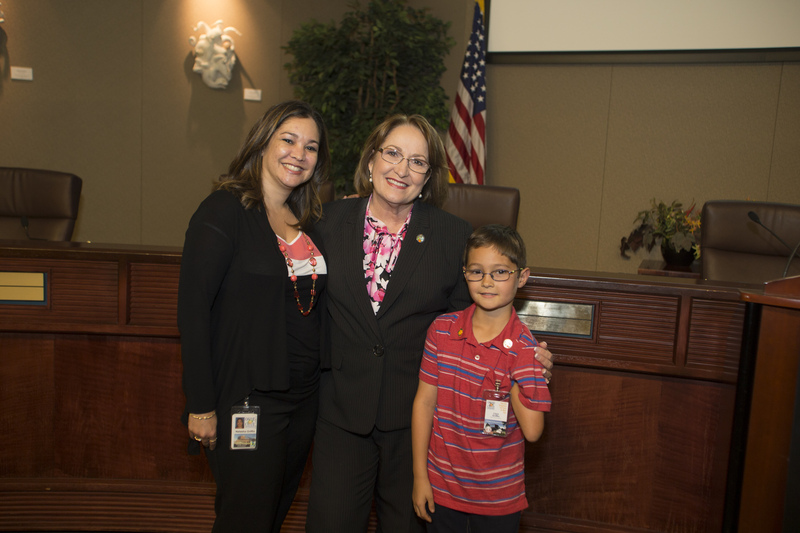 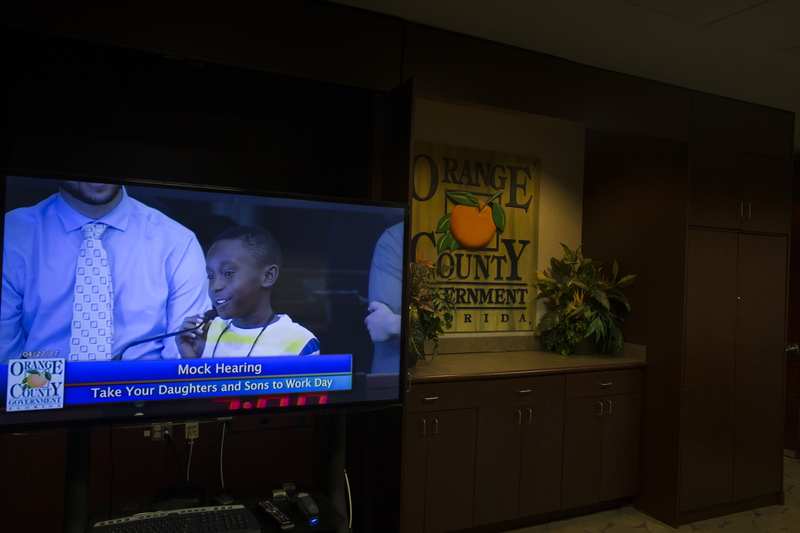 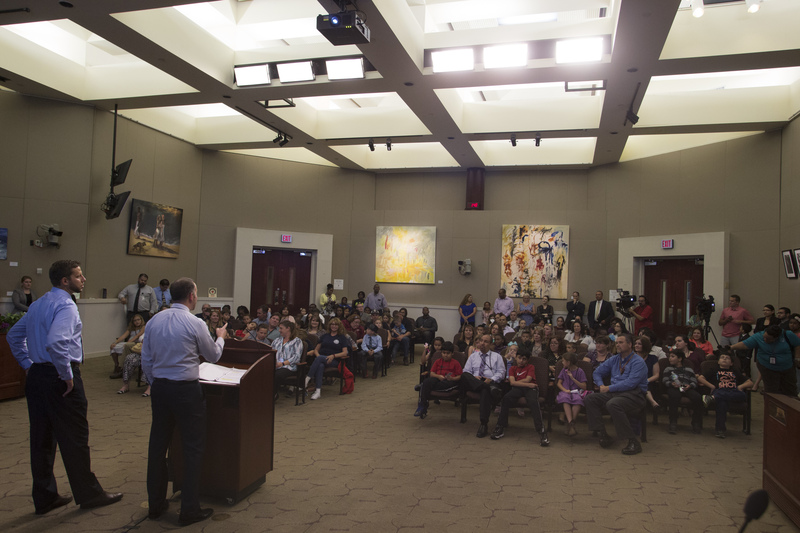 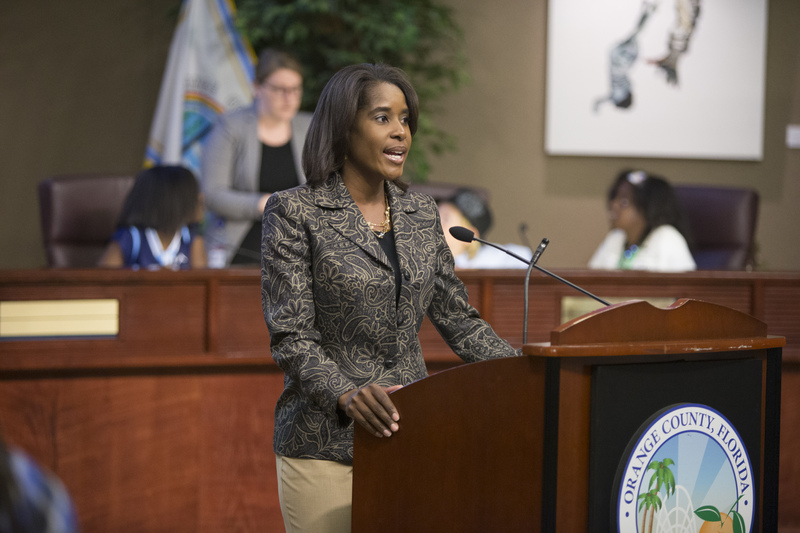 Orange County Government participated in the national initiative, Take Our Daughters and Sons to Work Day on April 27 and hosted the children of more than 200 employees from a number of departments and divisions across the County. 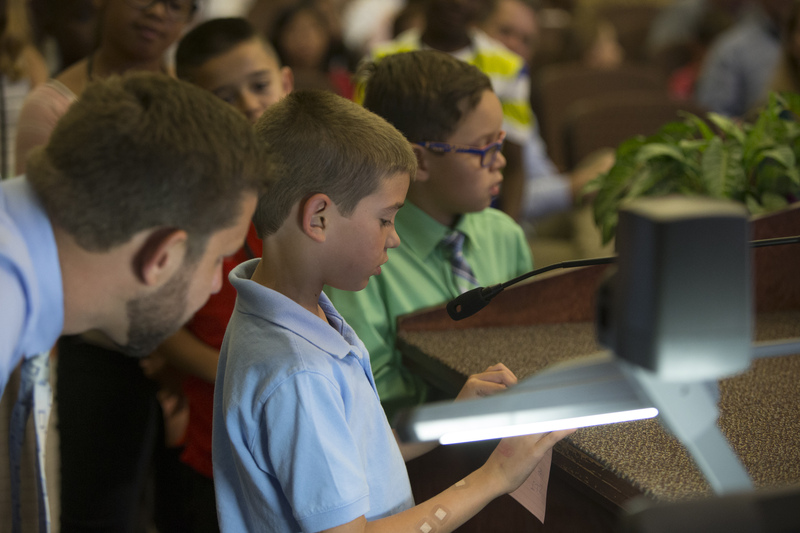 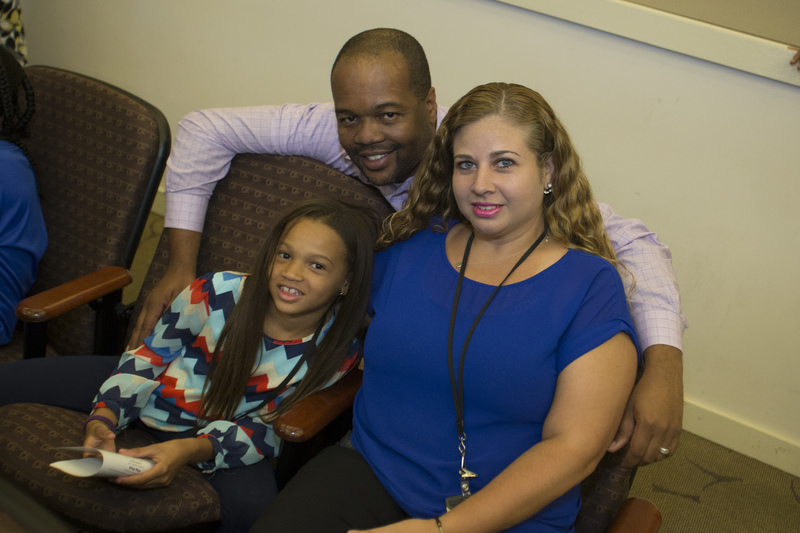 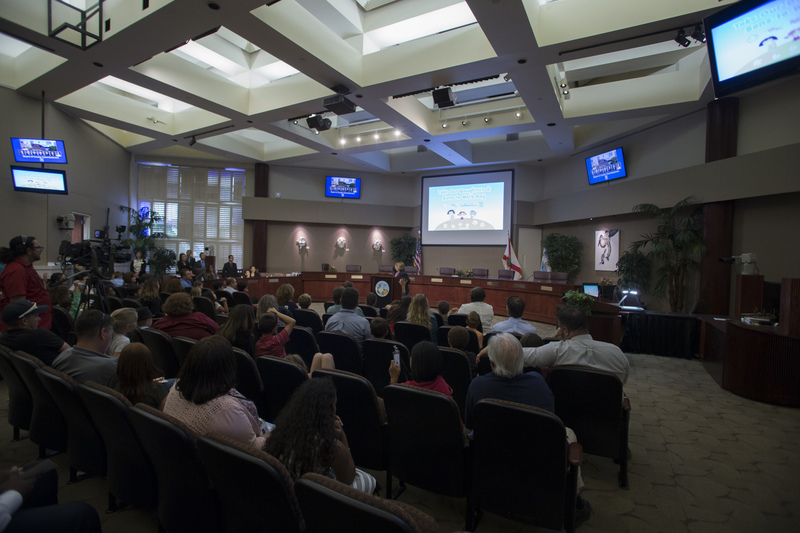 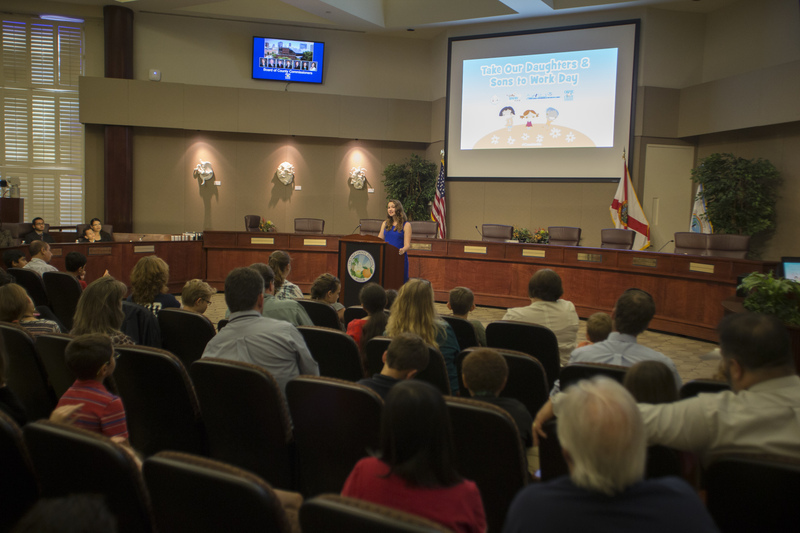 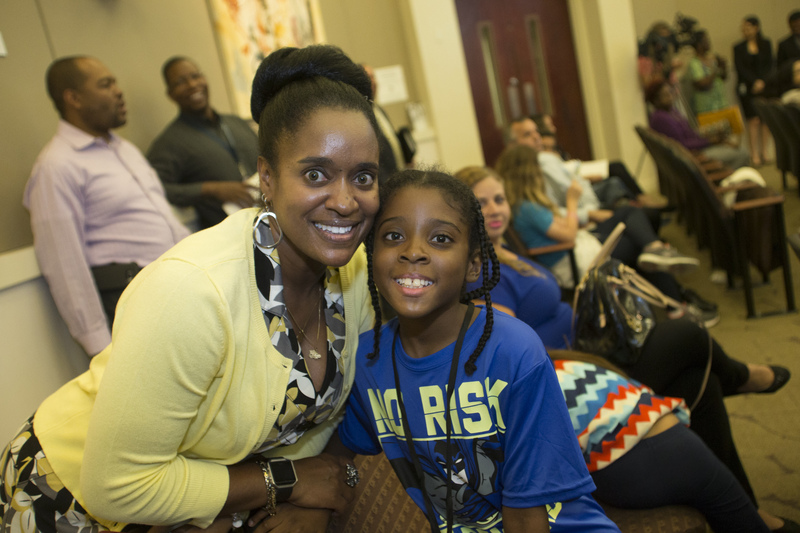 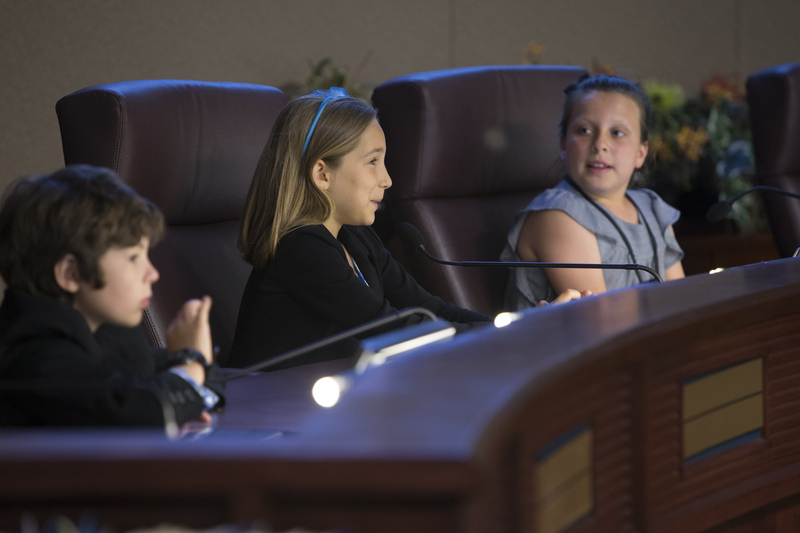 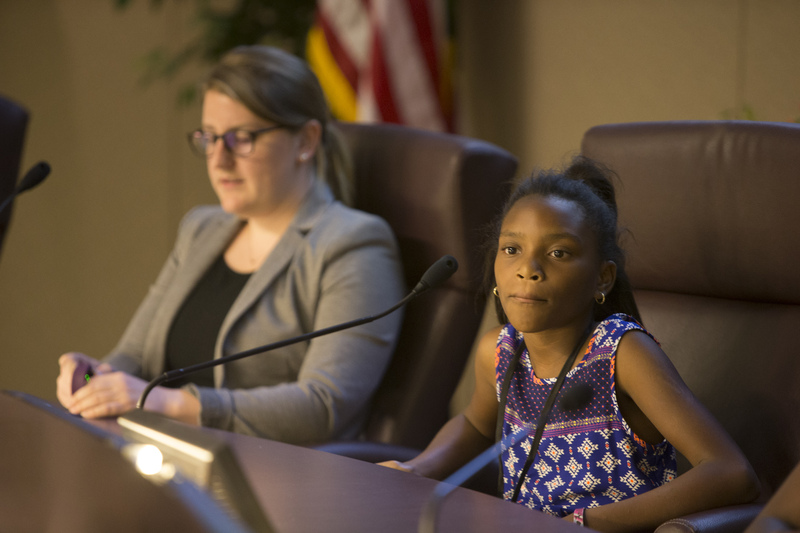 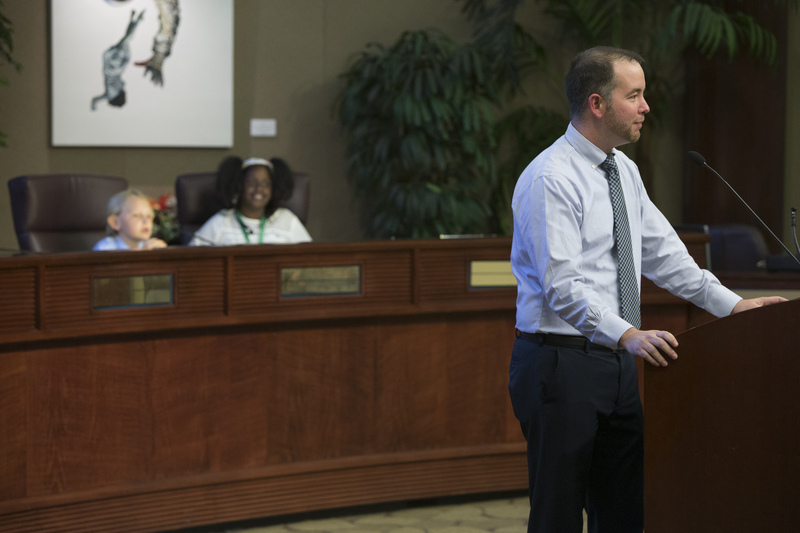 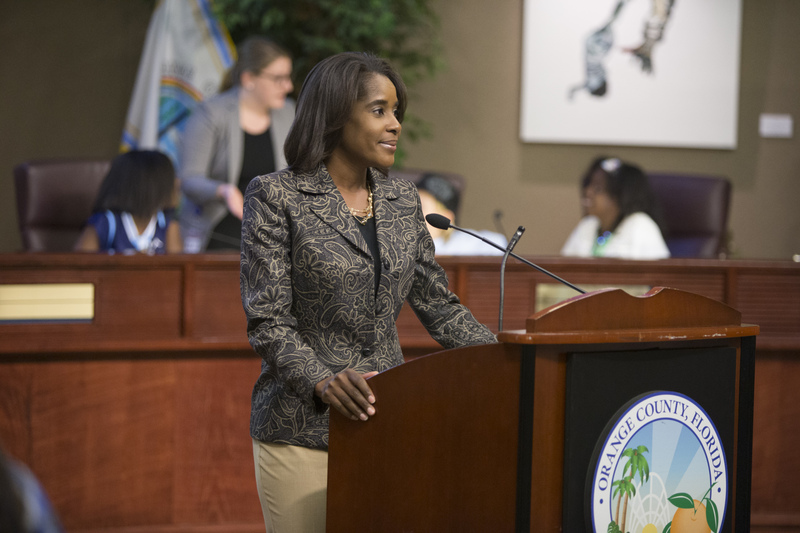 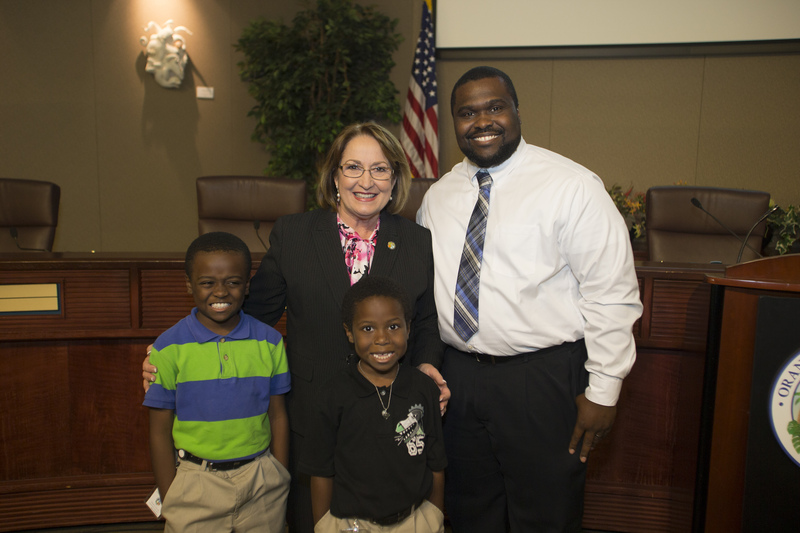 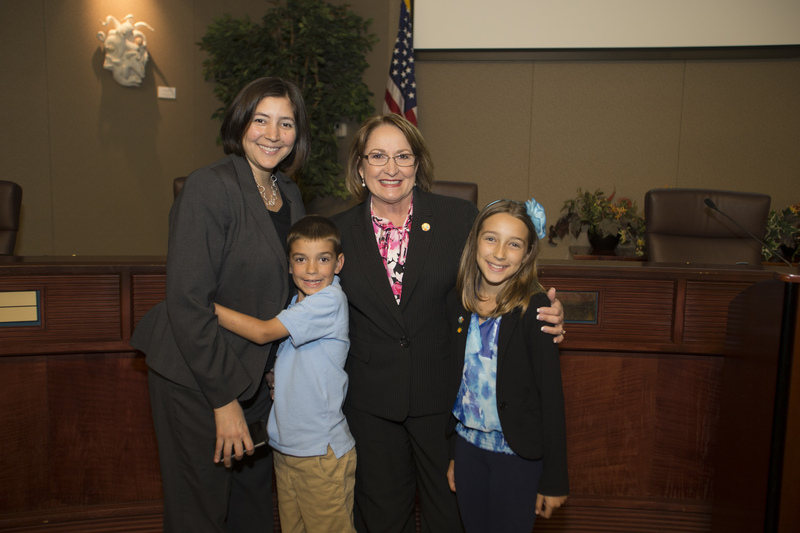 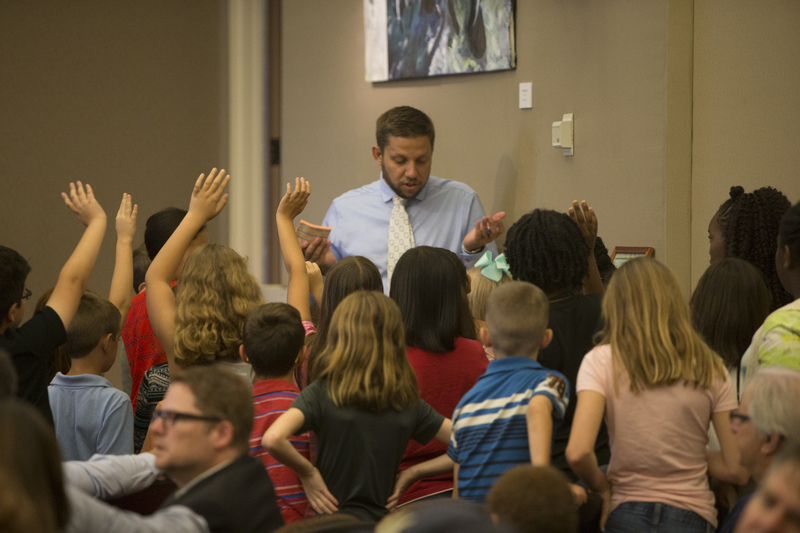 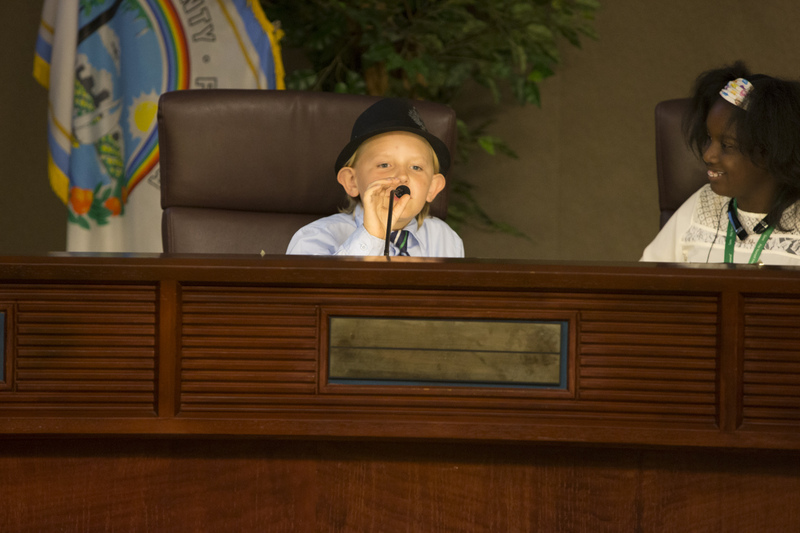 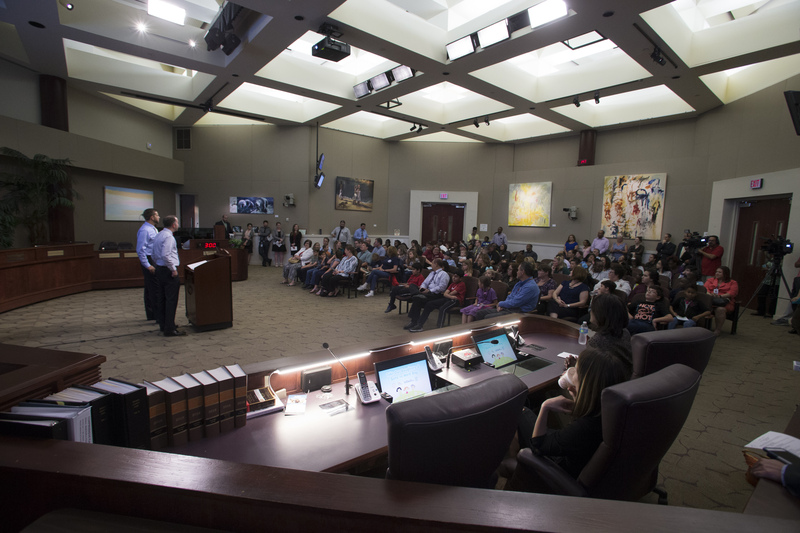 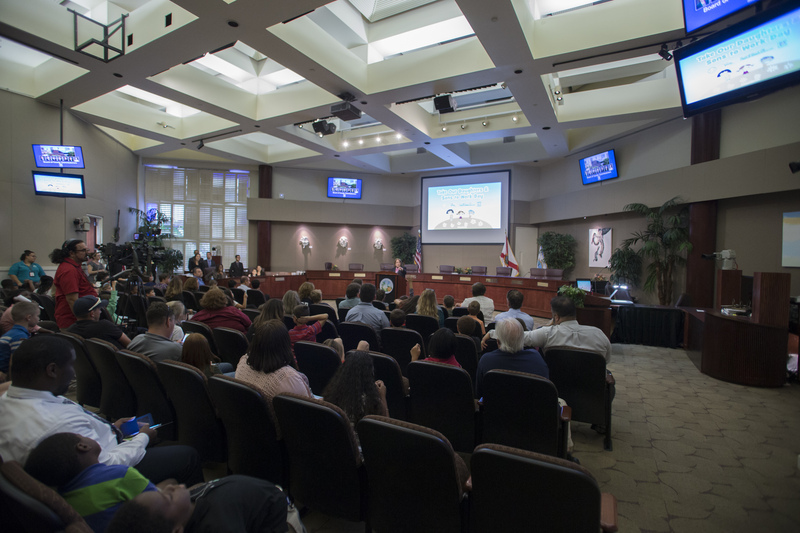 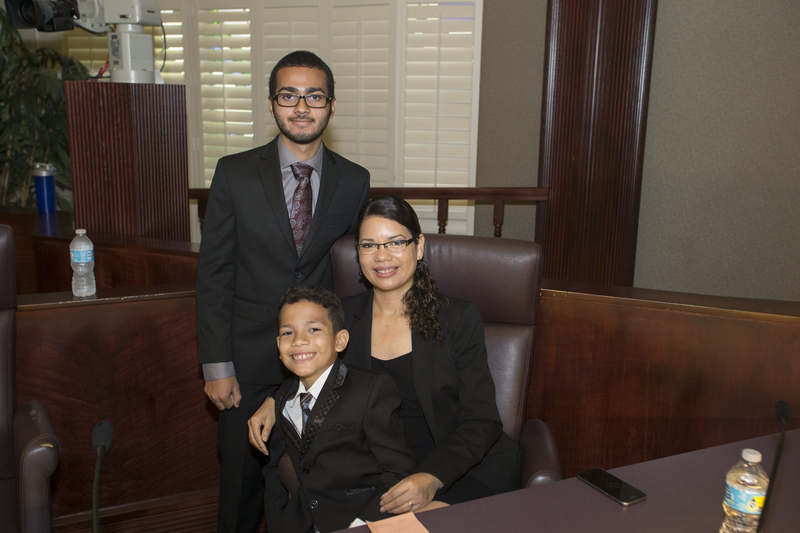 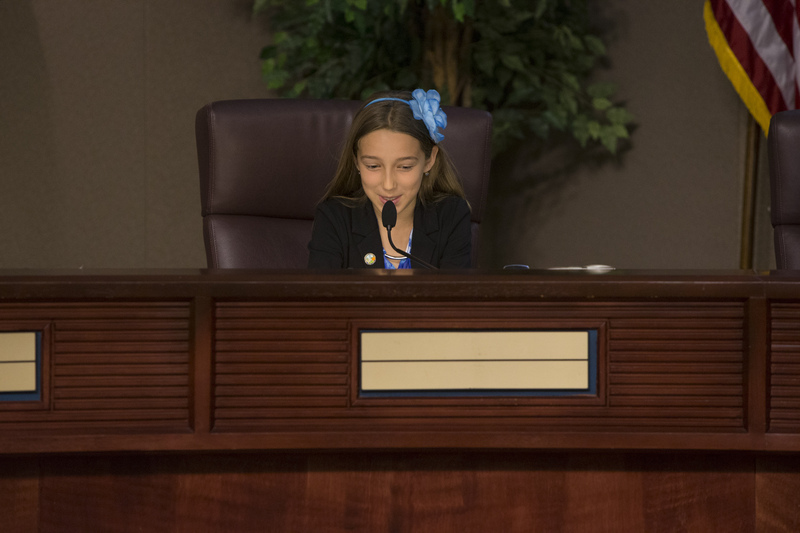 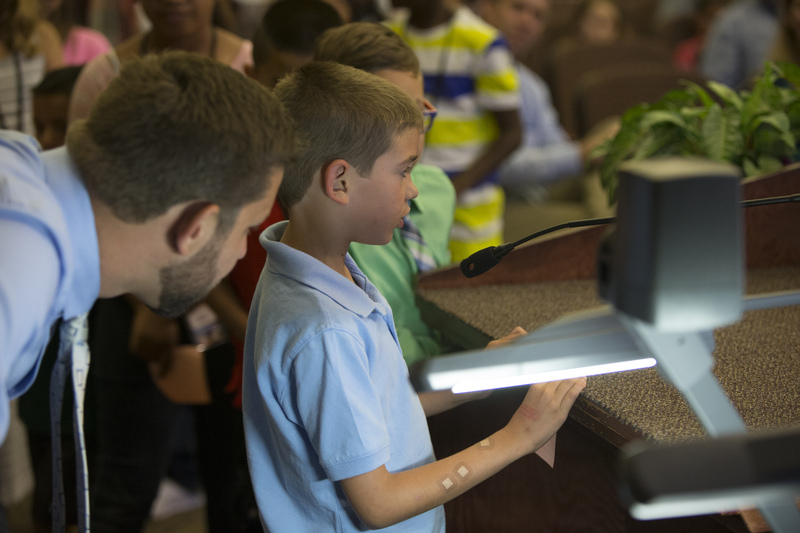 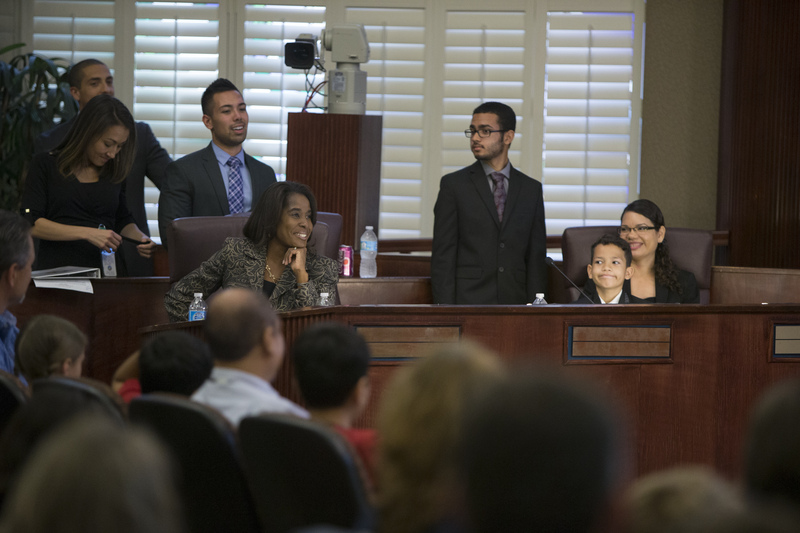 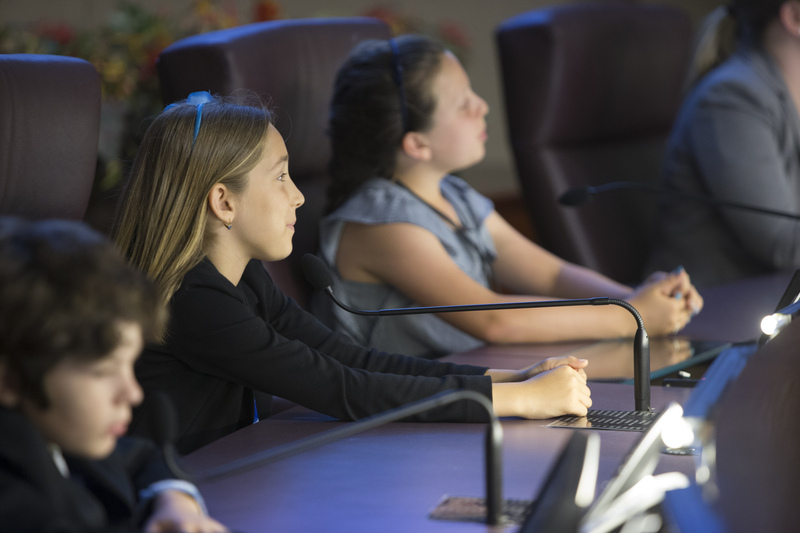 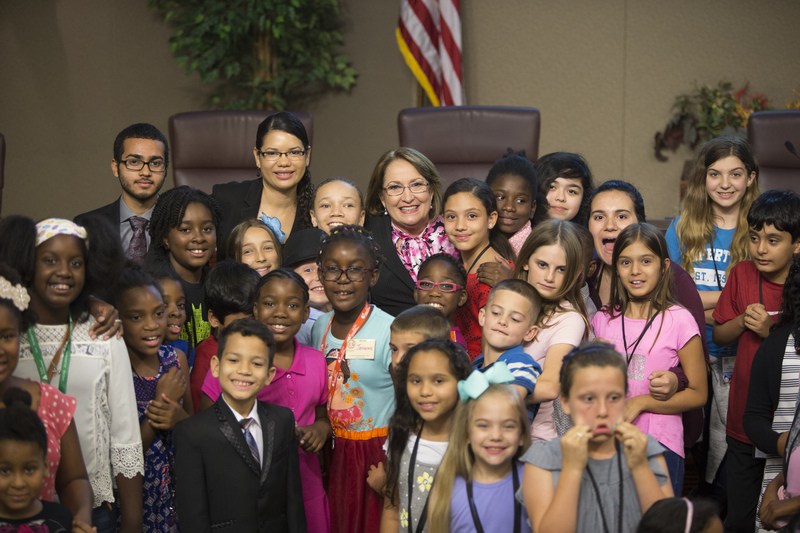 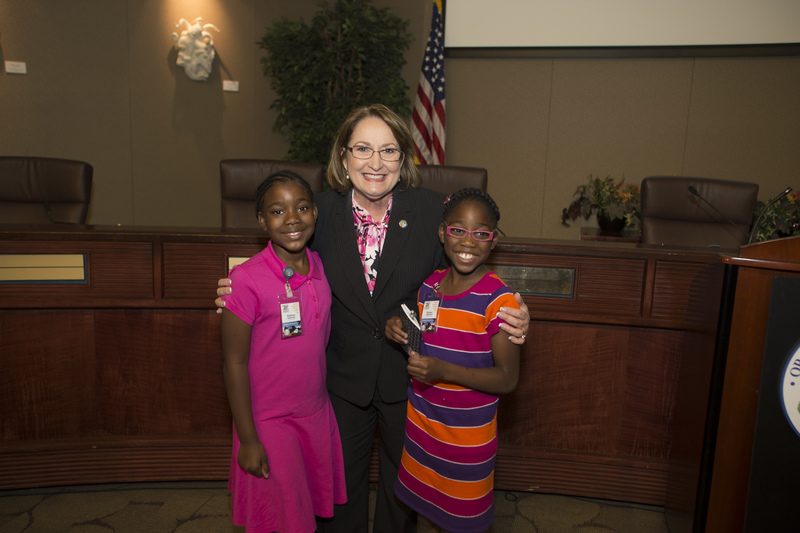 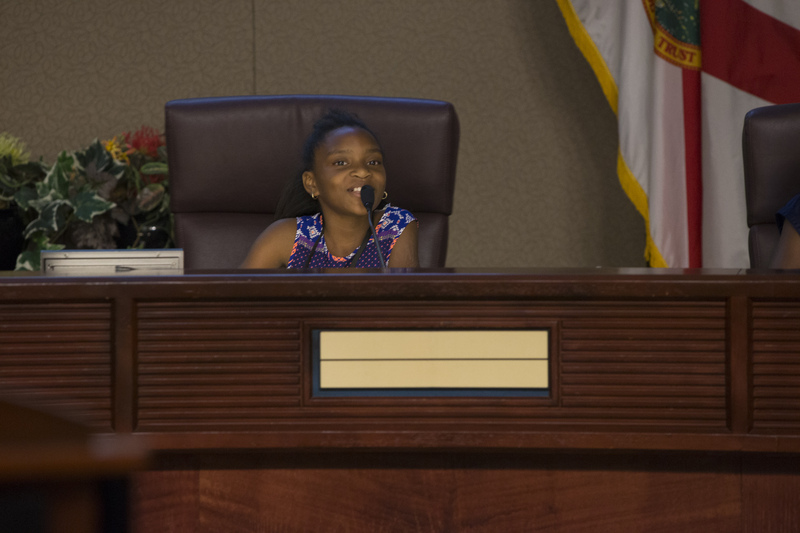 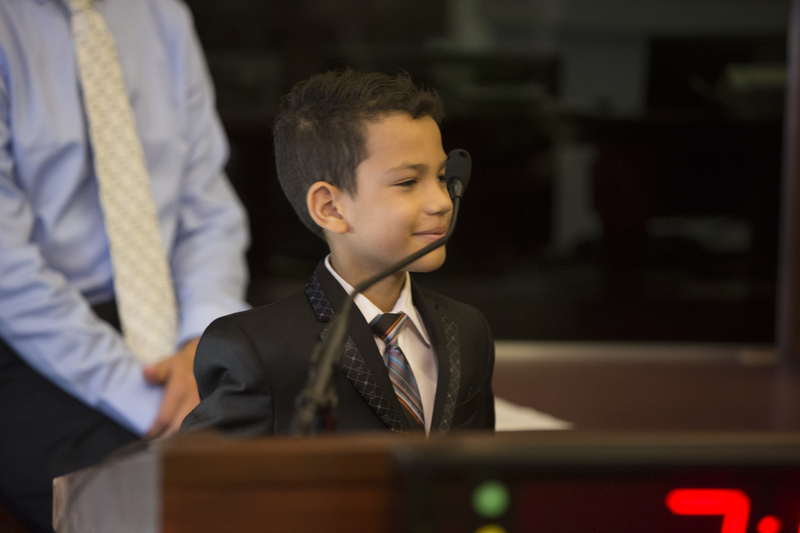 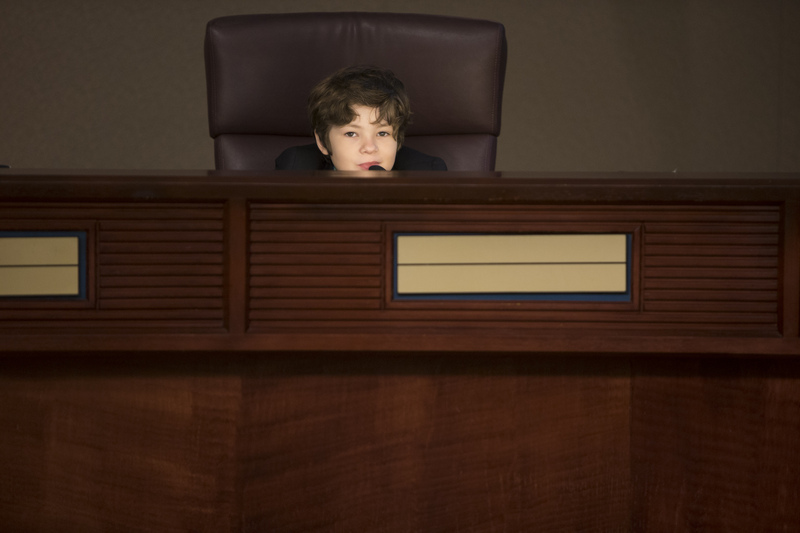 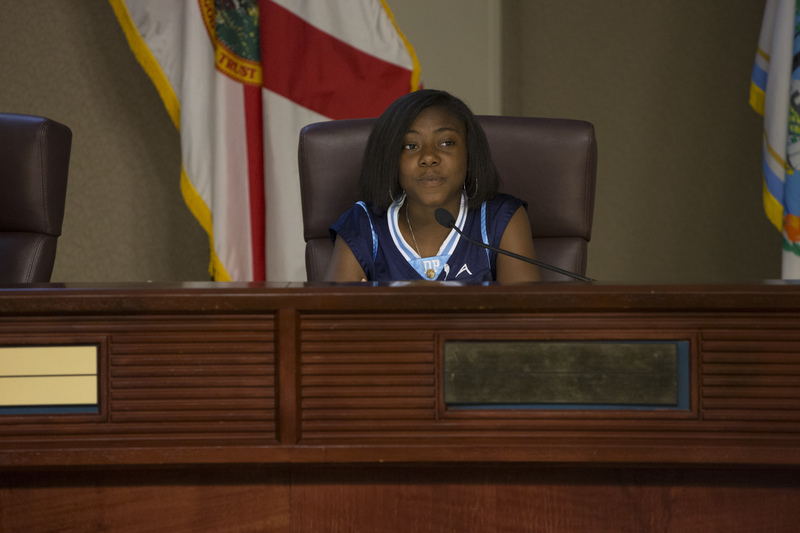 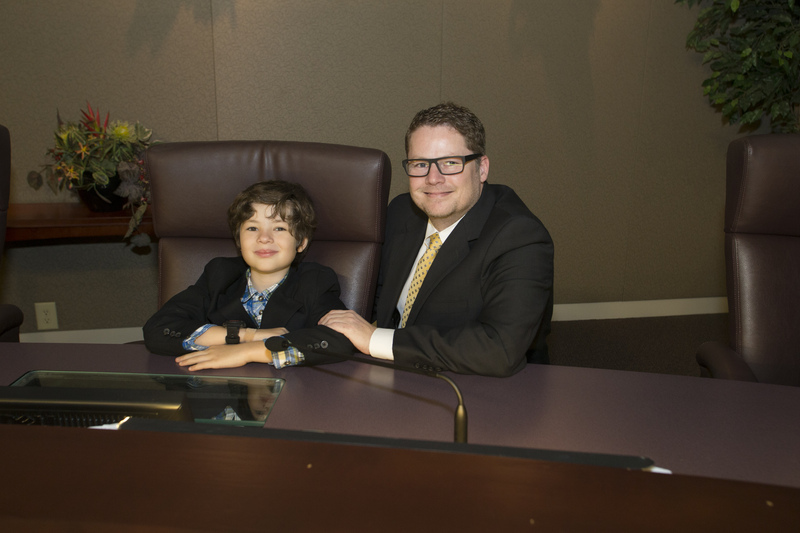 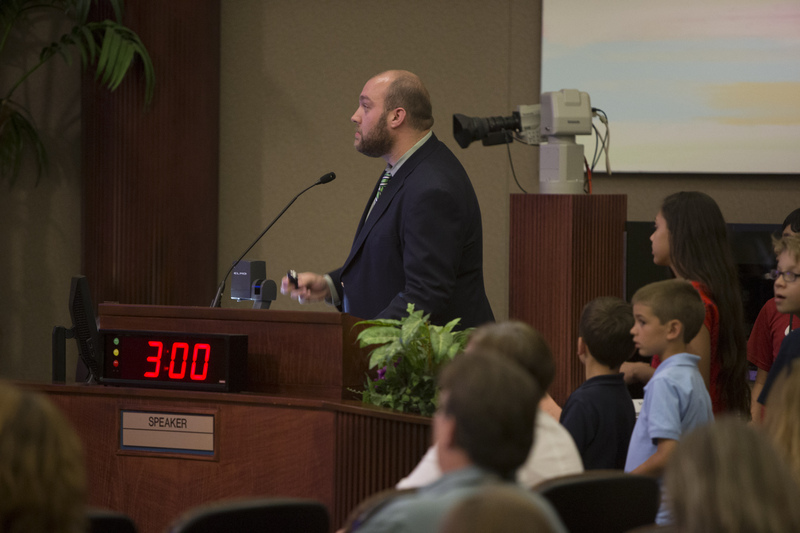 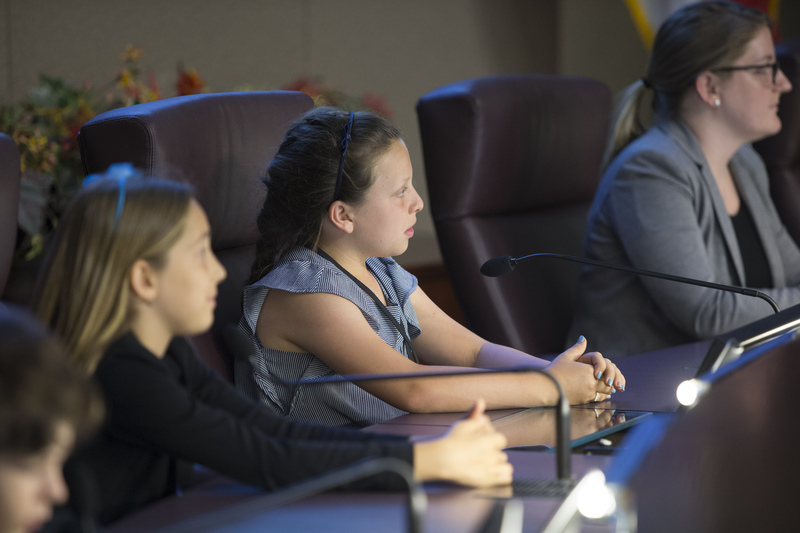 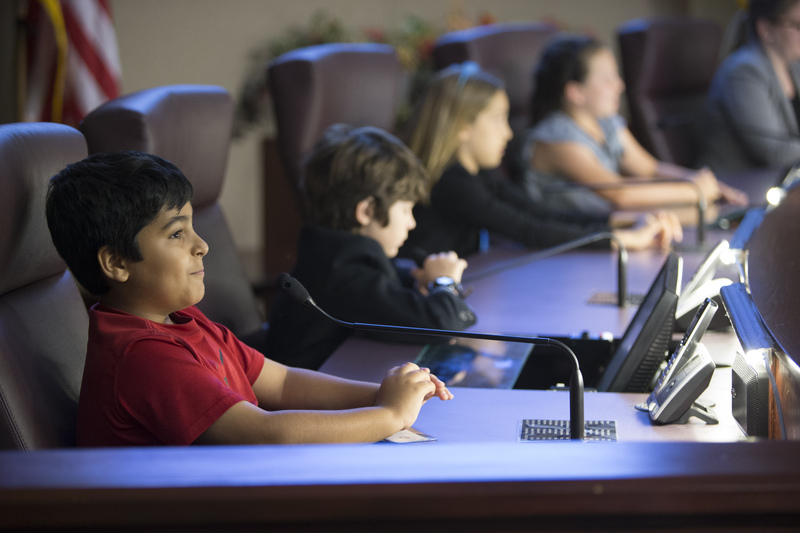 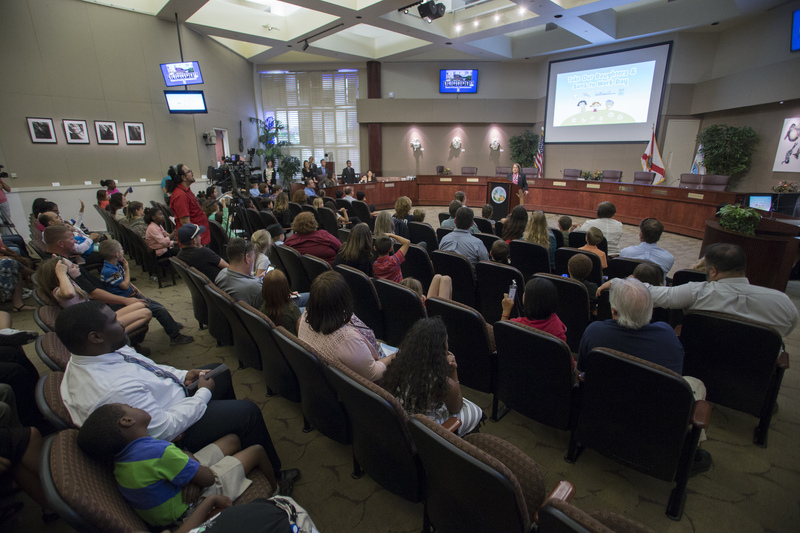 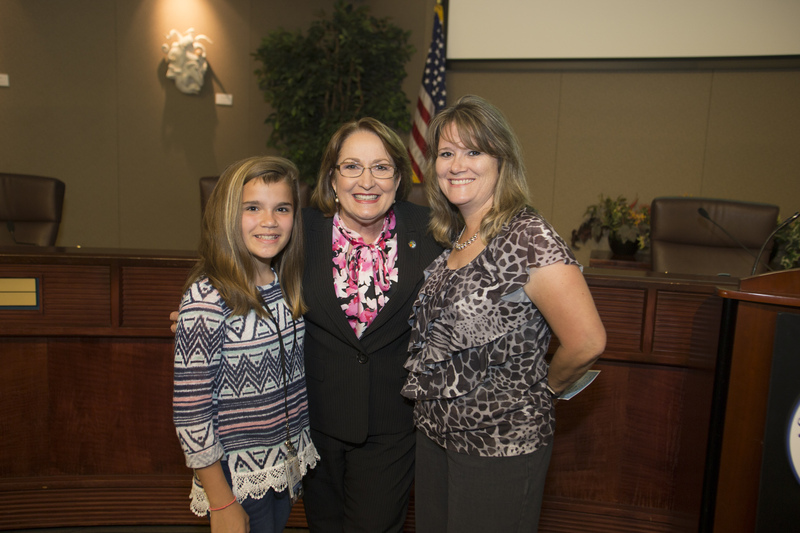 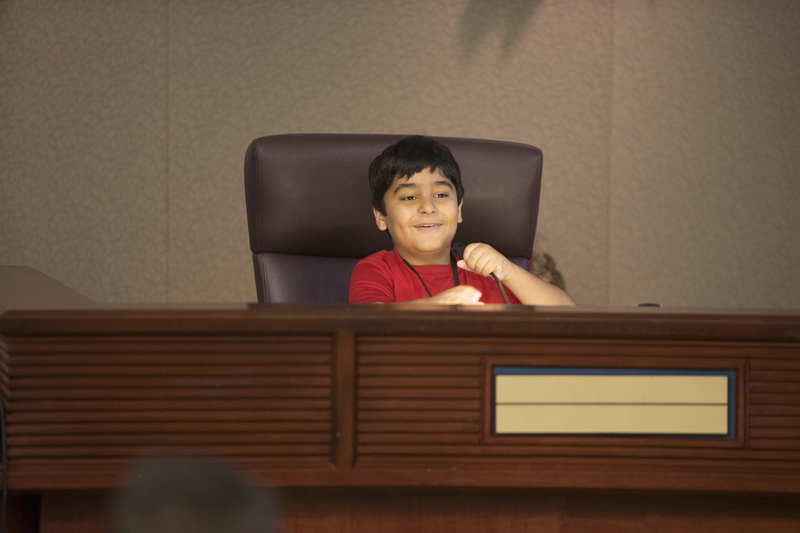 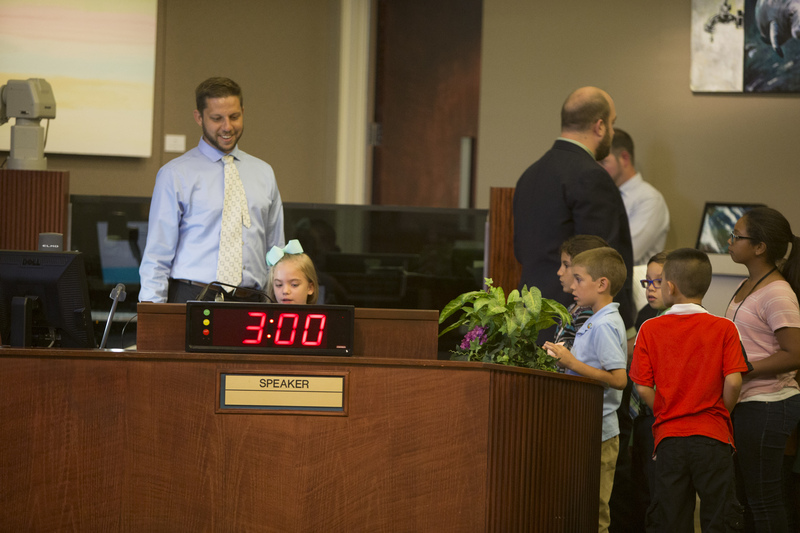 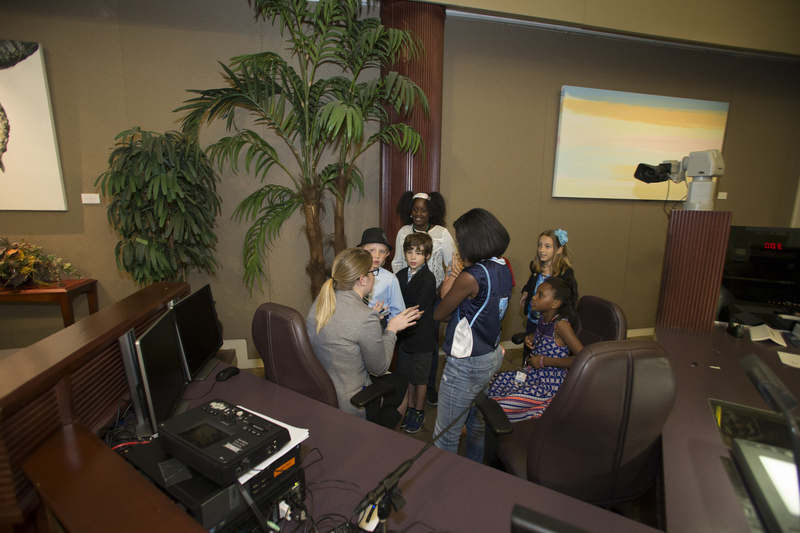 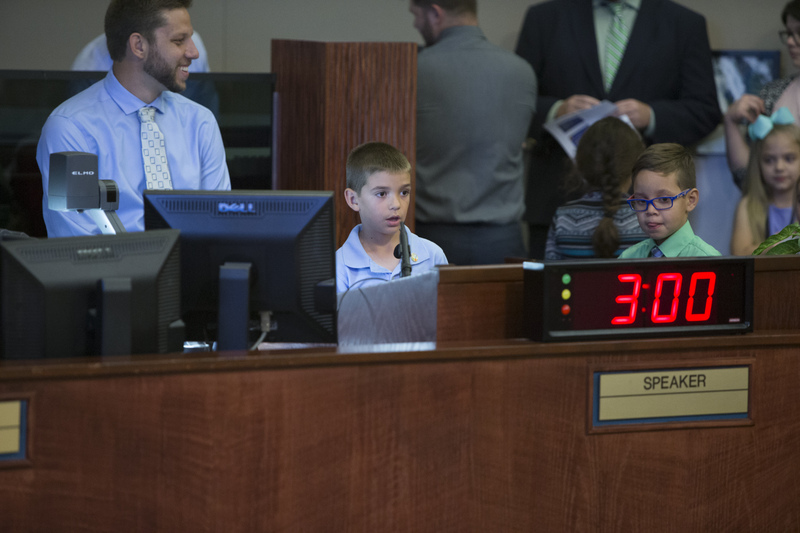 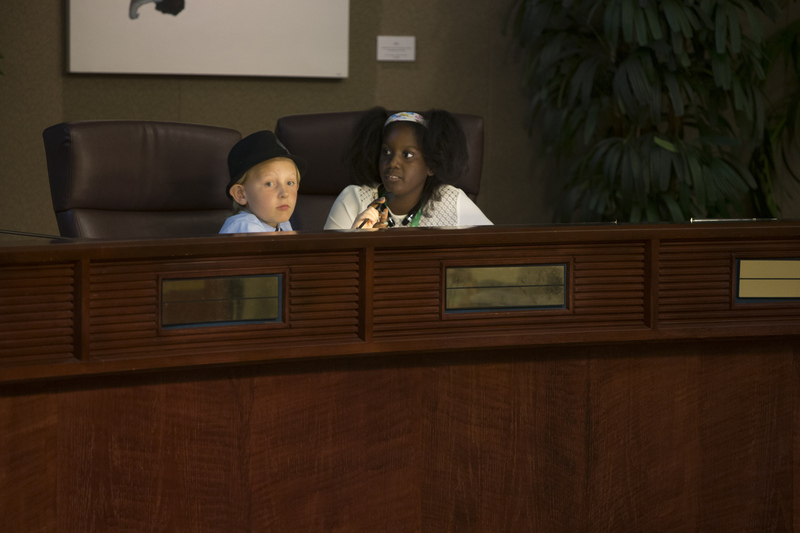 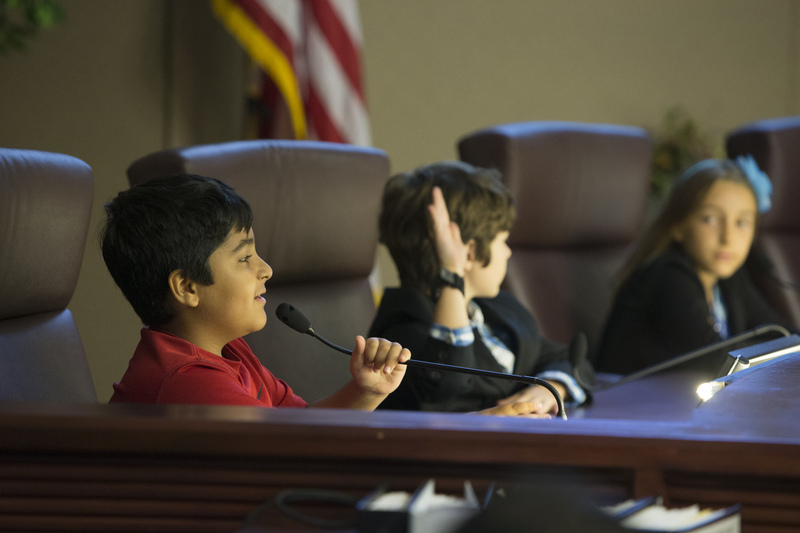 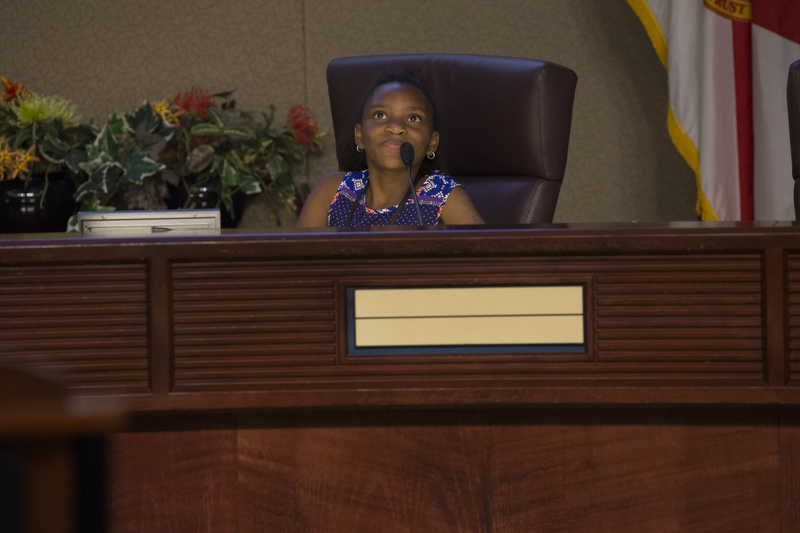 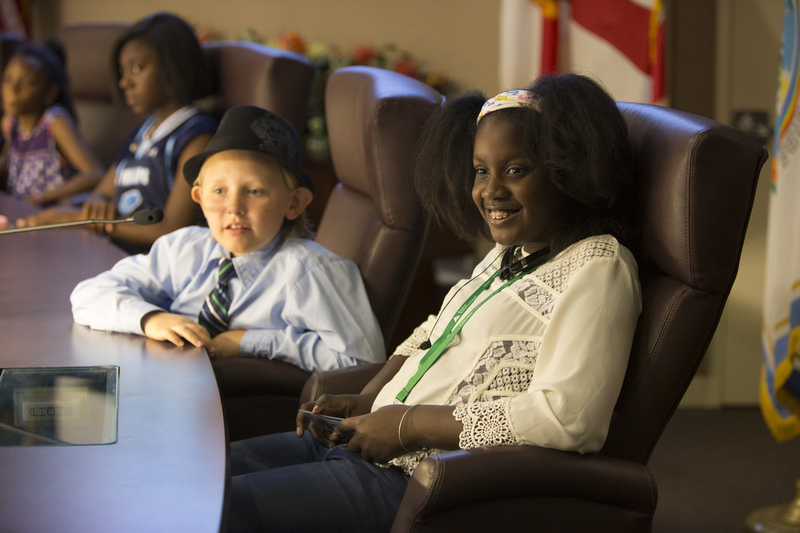 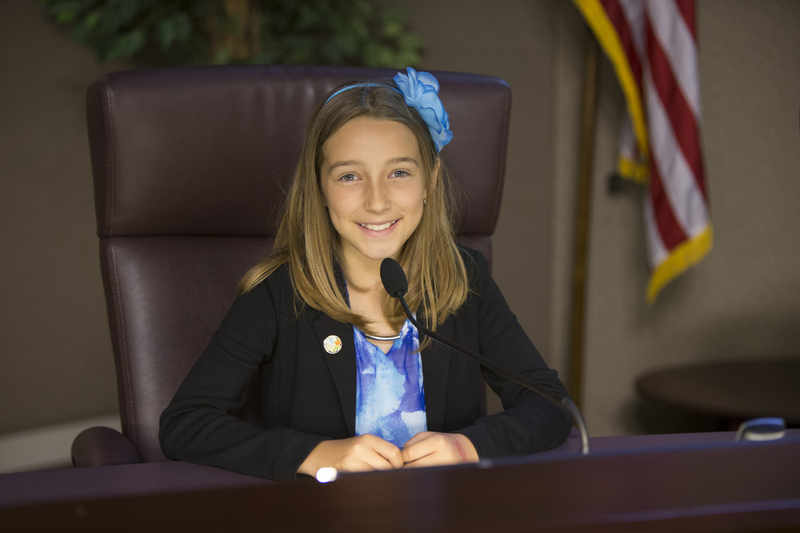 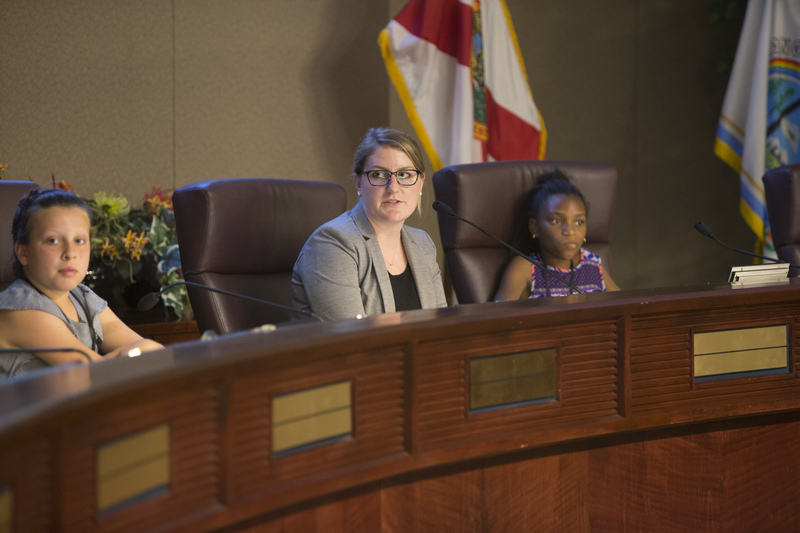 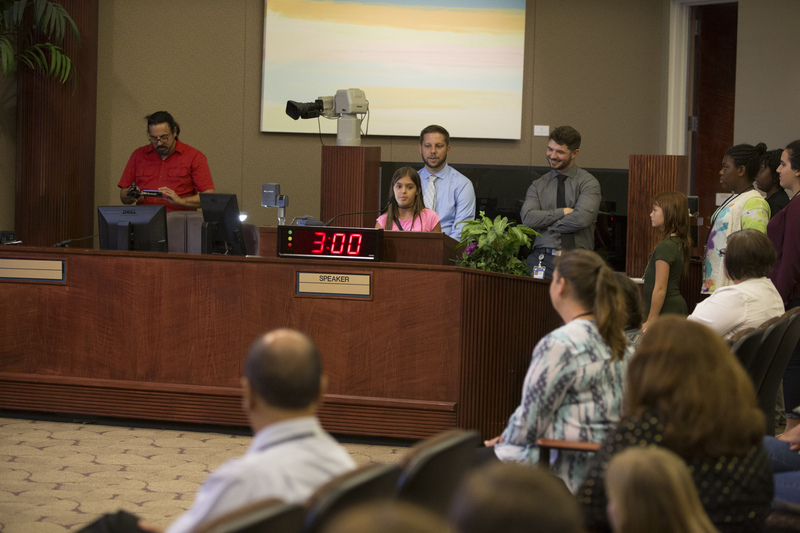 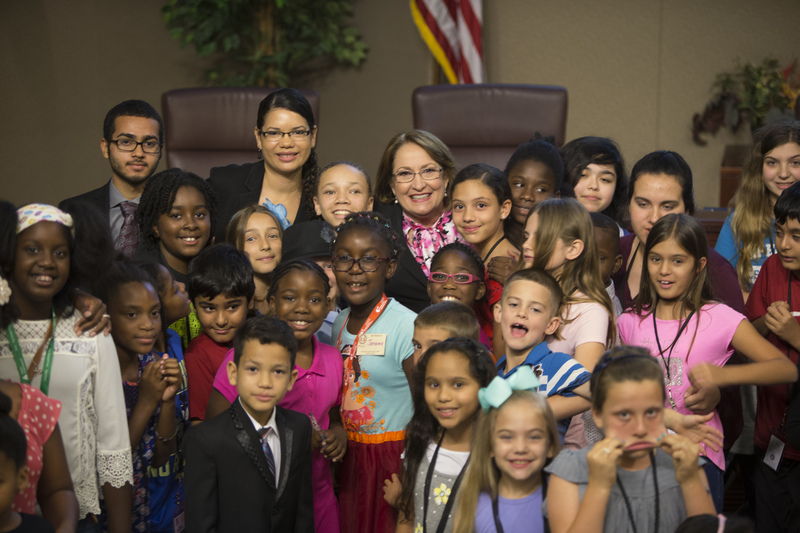 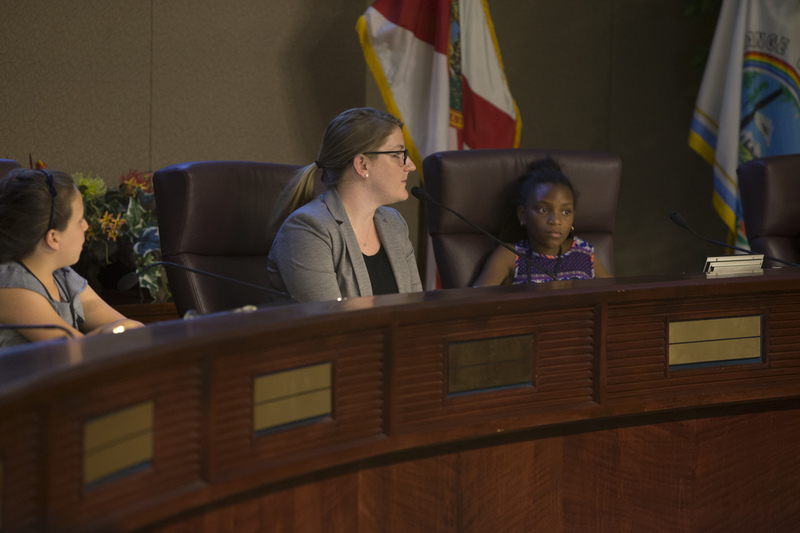 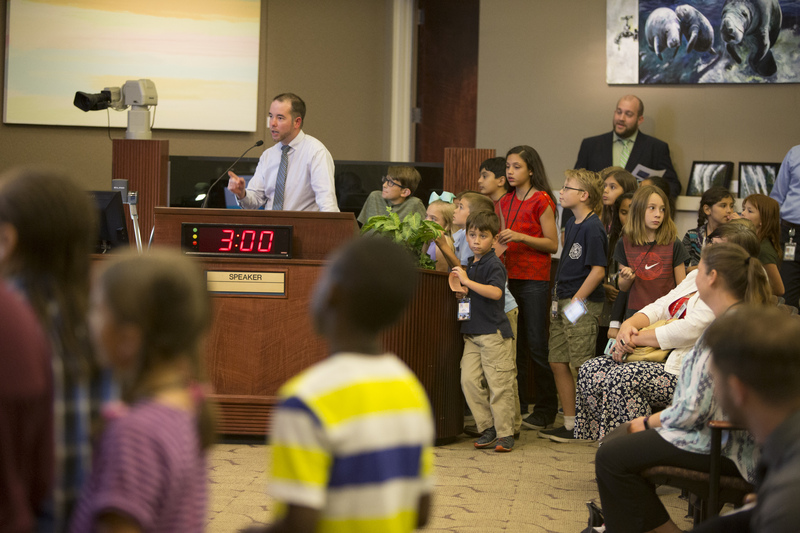 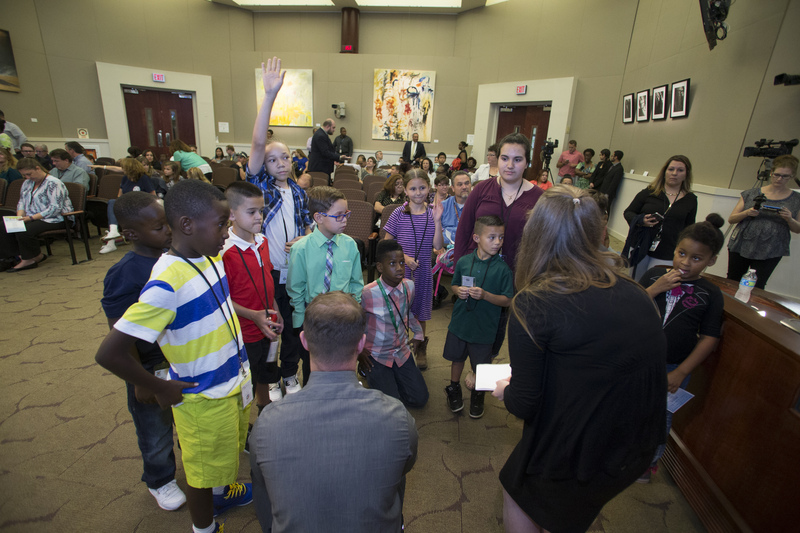 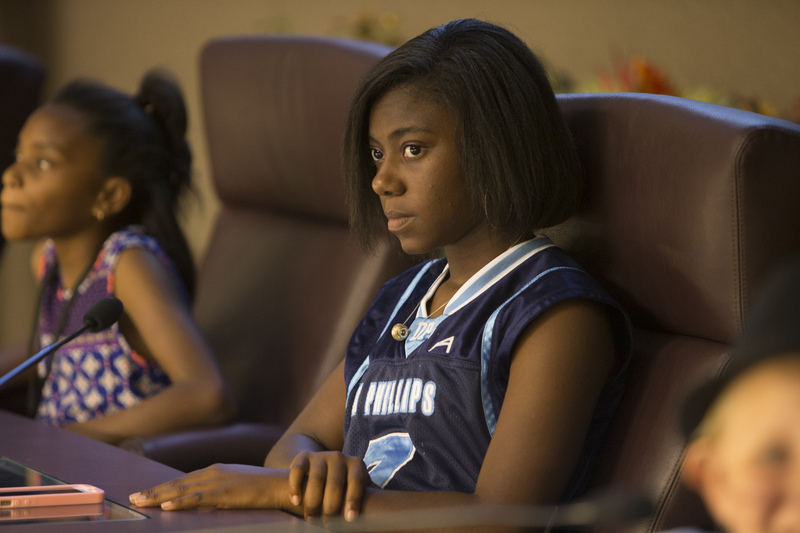 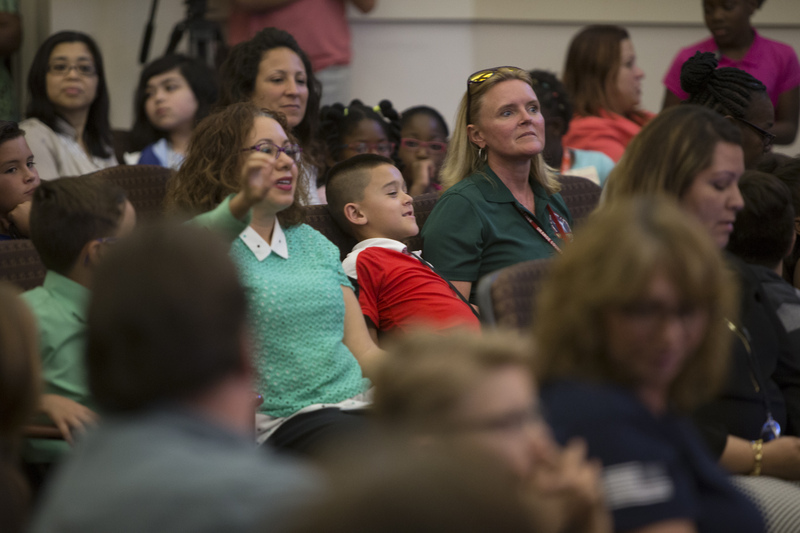 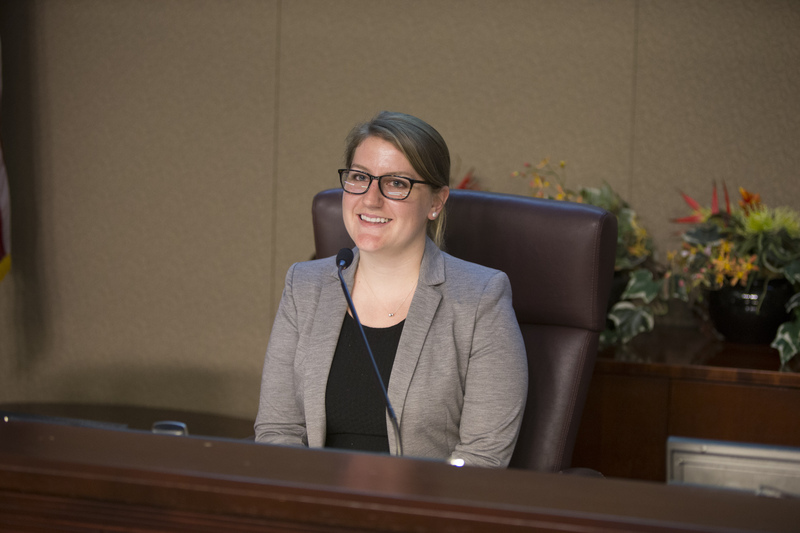 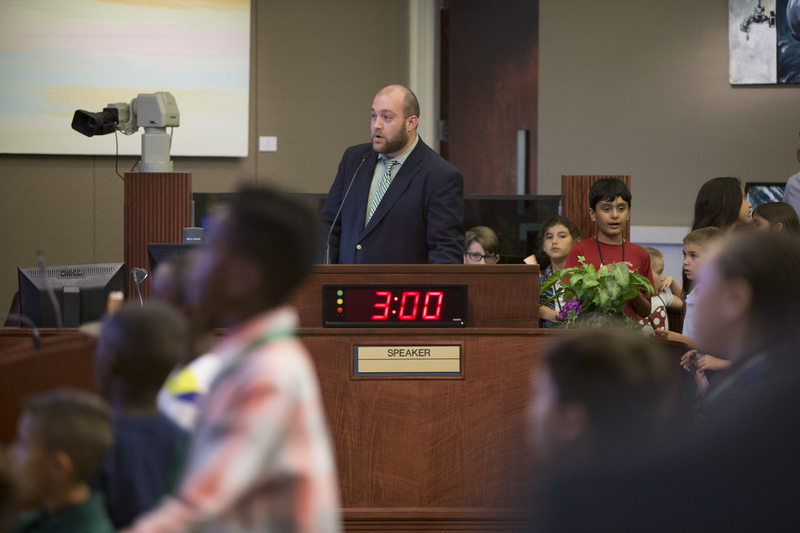 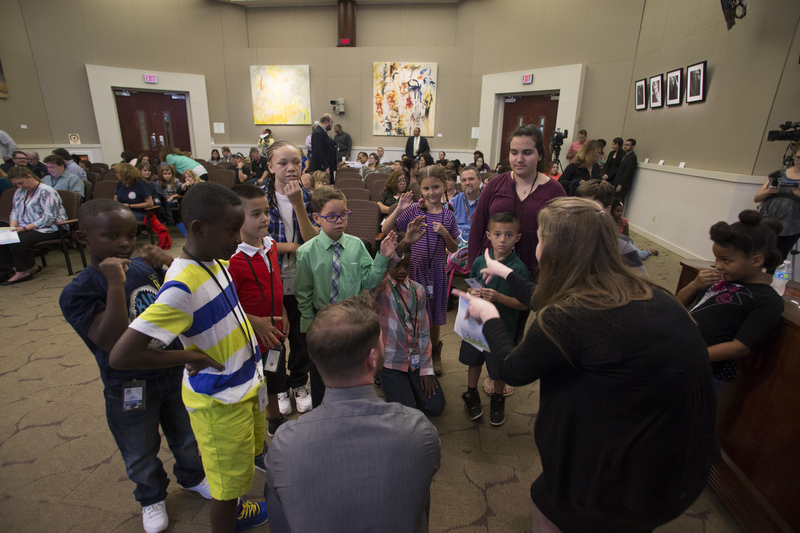 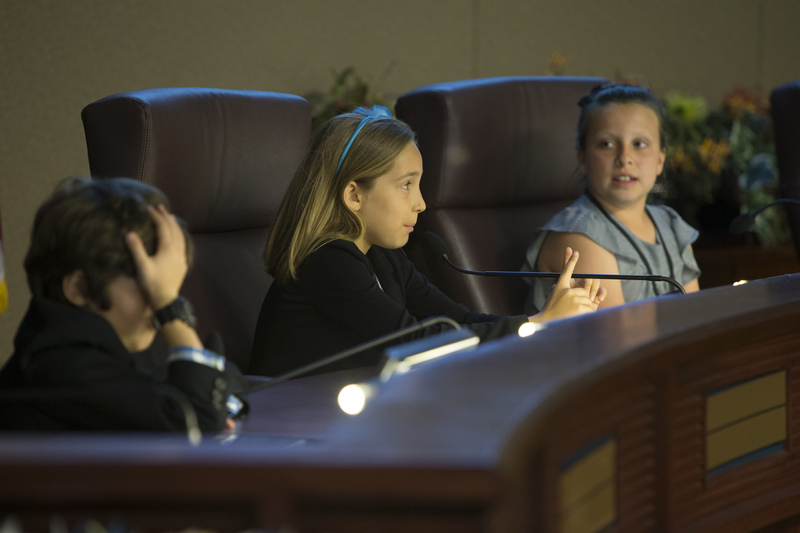 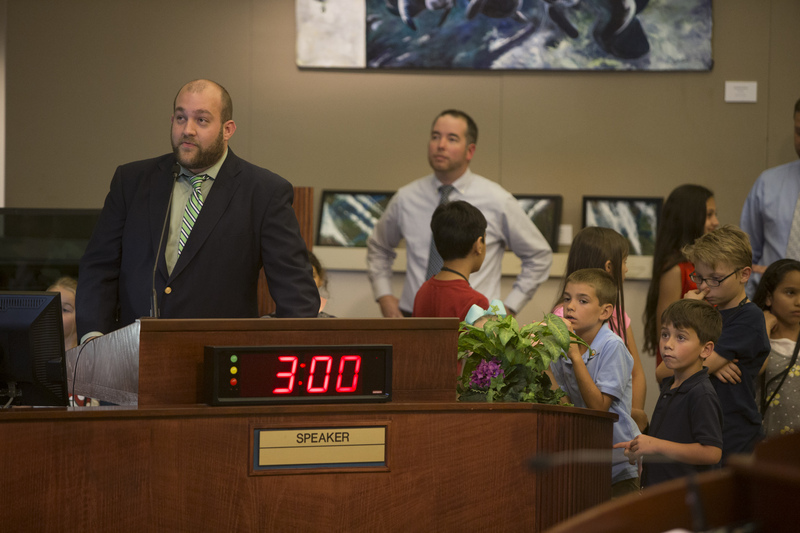 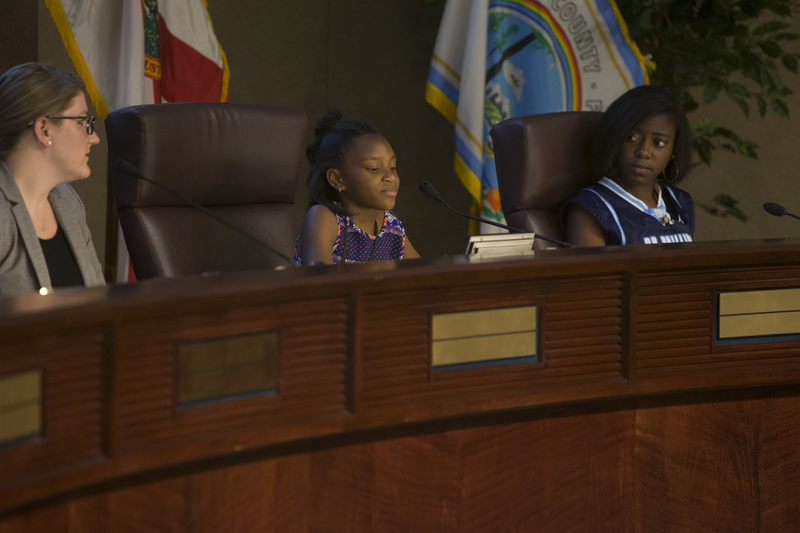 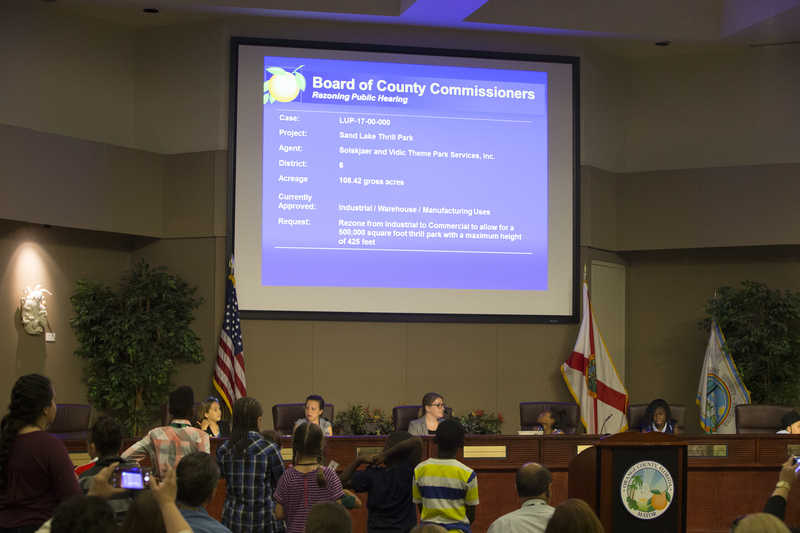 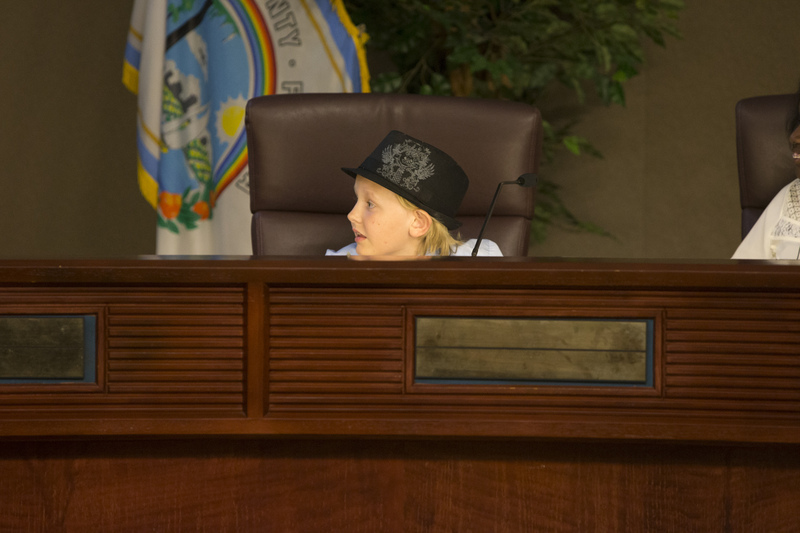 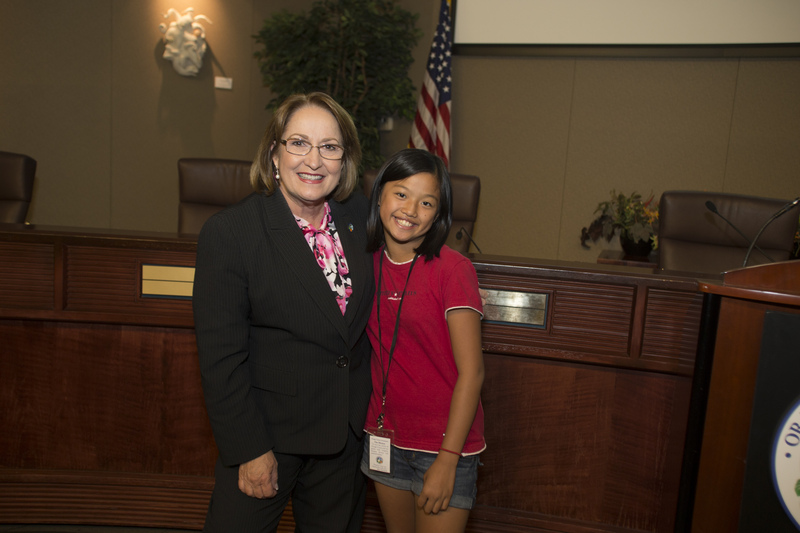 This year’s event gathered children in the Board of County Commissioners (BCC) Chambers for a special mock BCC hearing. 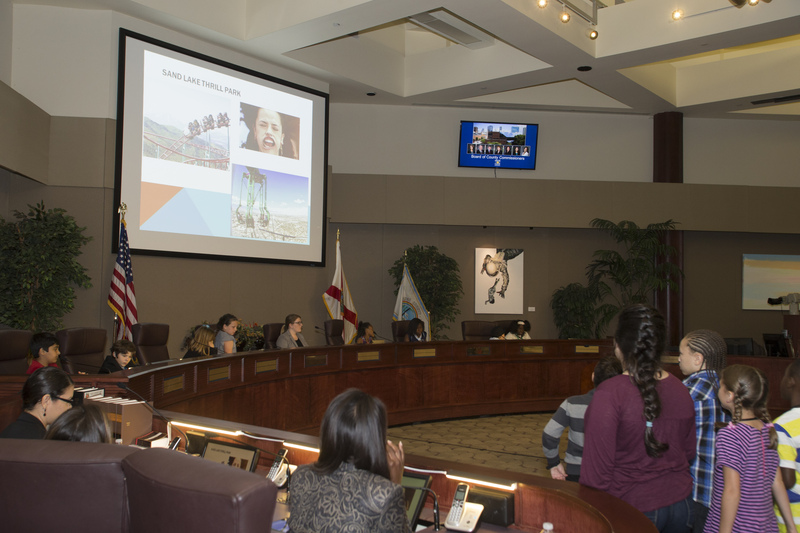 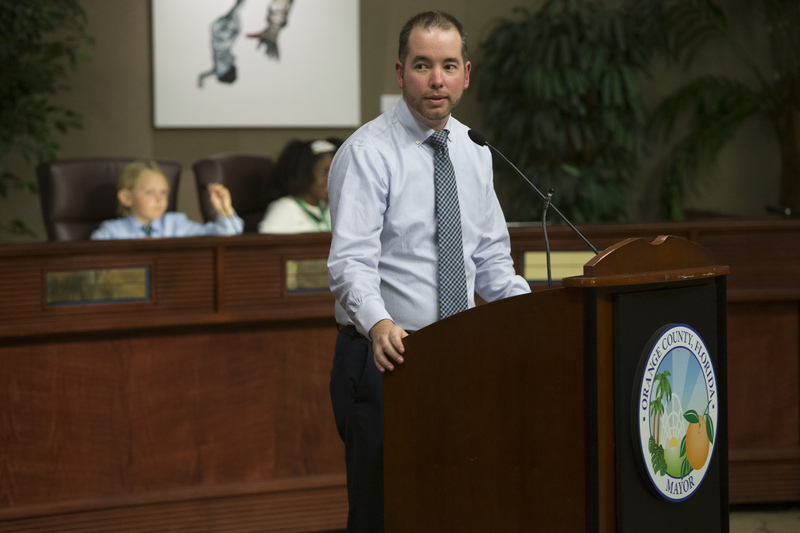 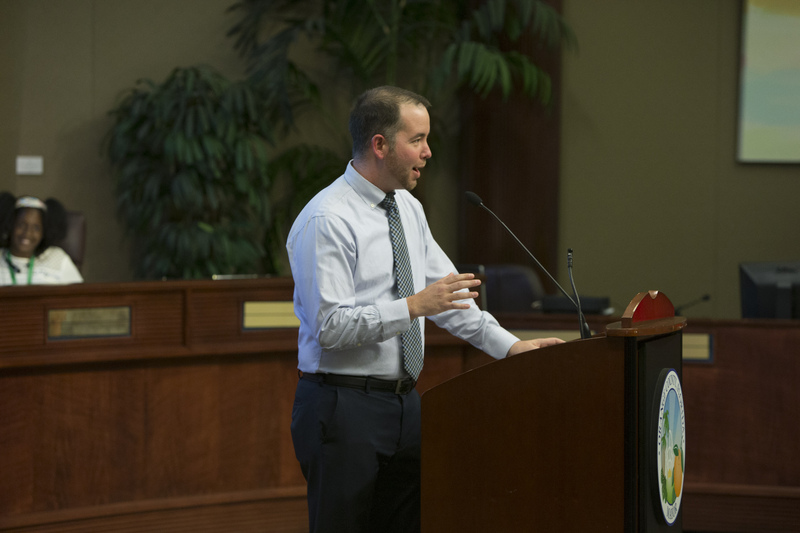 The hearing discussed the possibility of a new park. 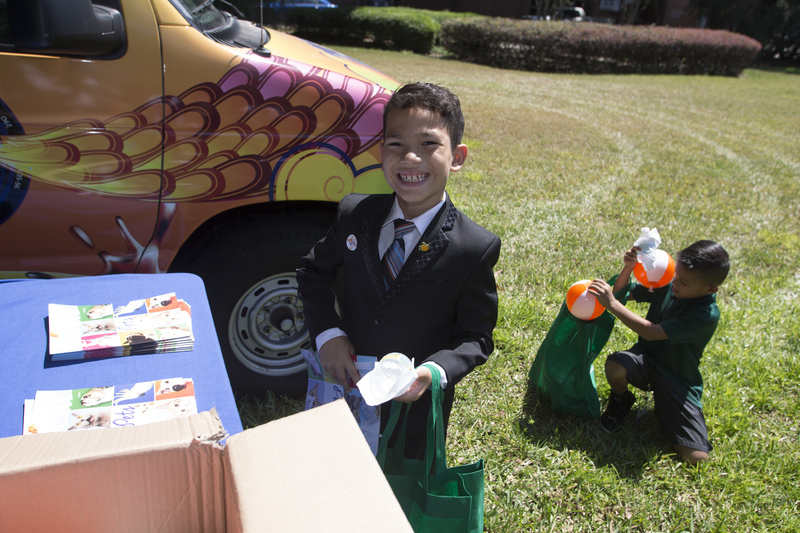 Children were also able to participate in various activities planned by each division. 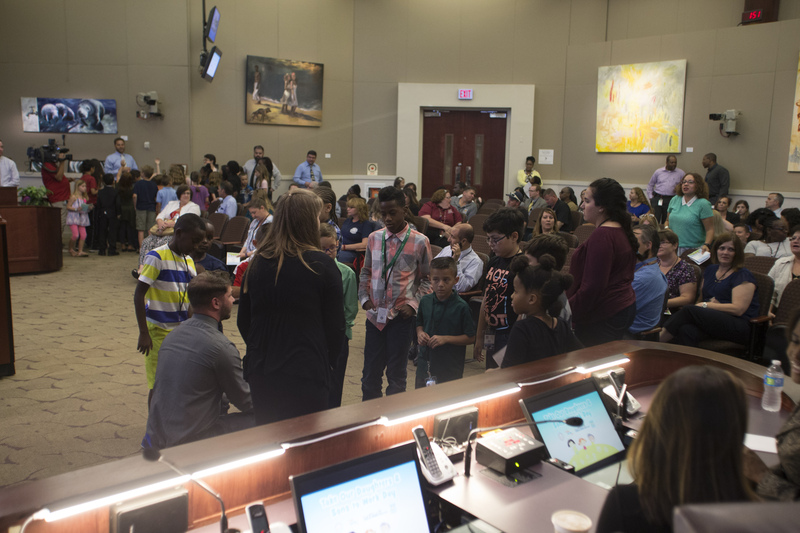 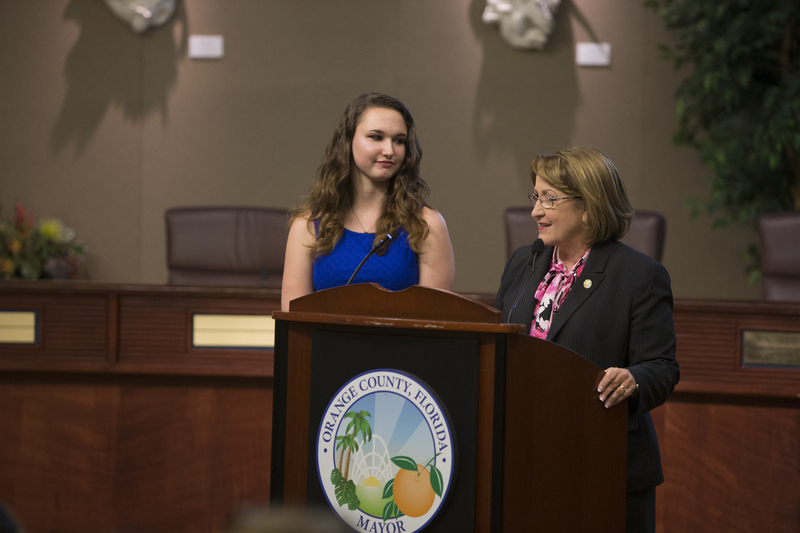 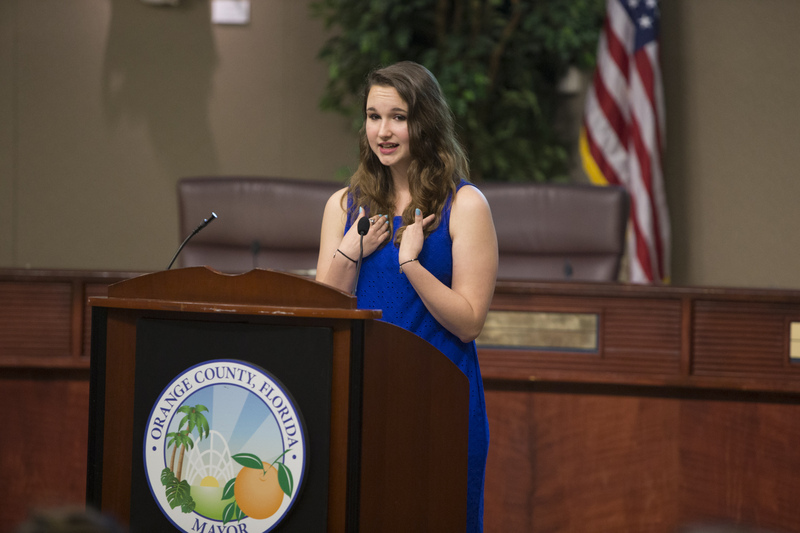 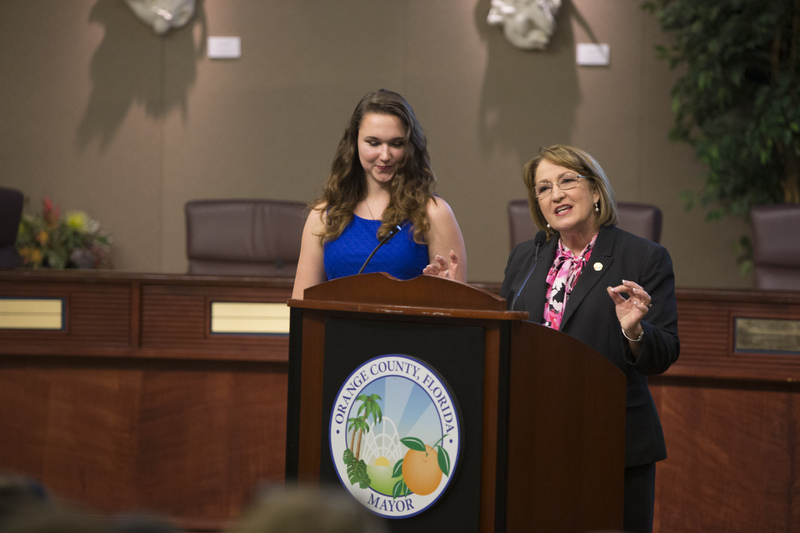 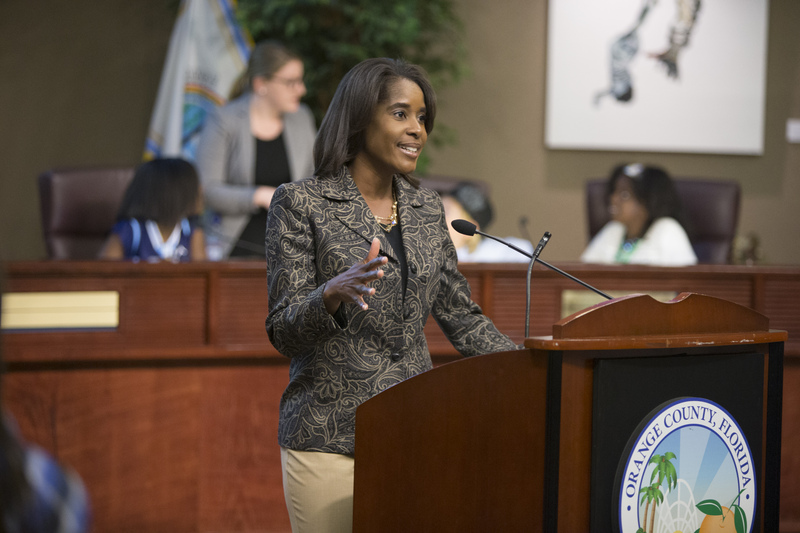 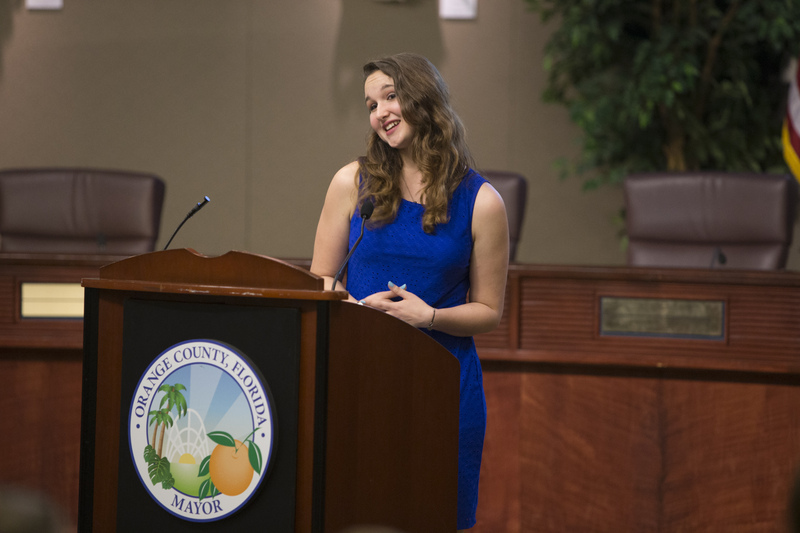 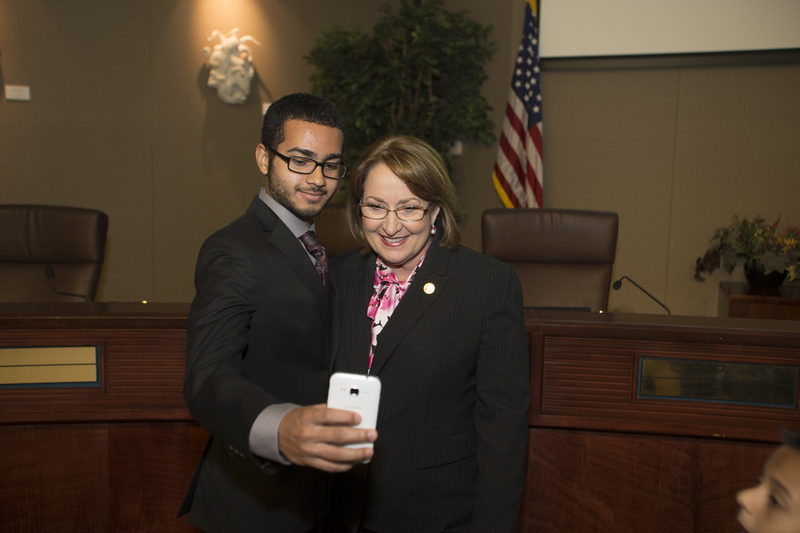 The purpose of this event is to provide students with a firsthand look at local government in action and how it positively impacts our society. 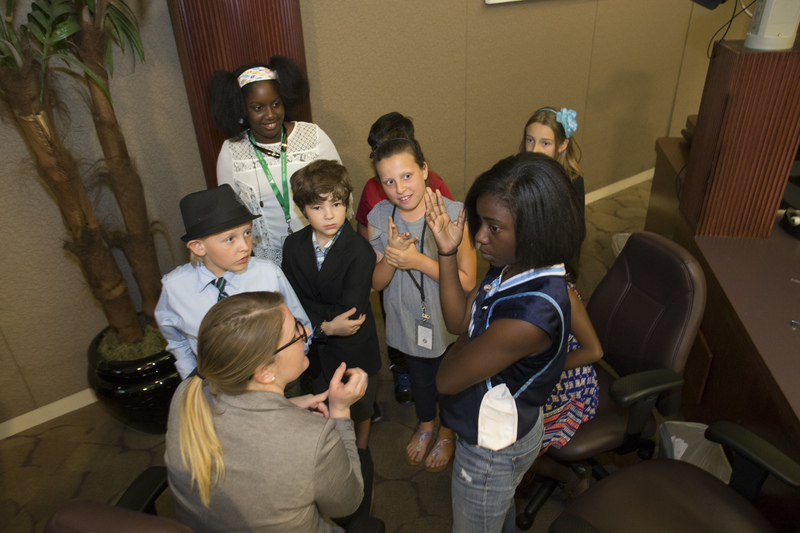 The Take Our Daughters and Sons to Work program is intended to go beyond the average practice of “shadowing” an adult. 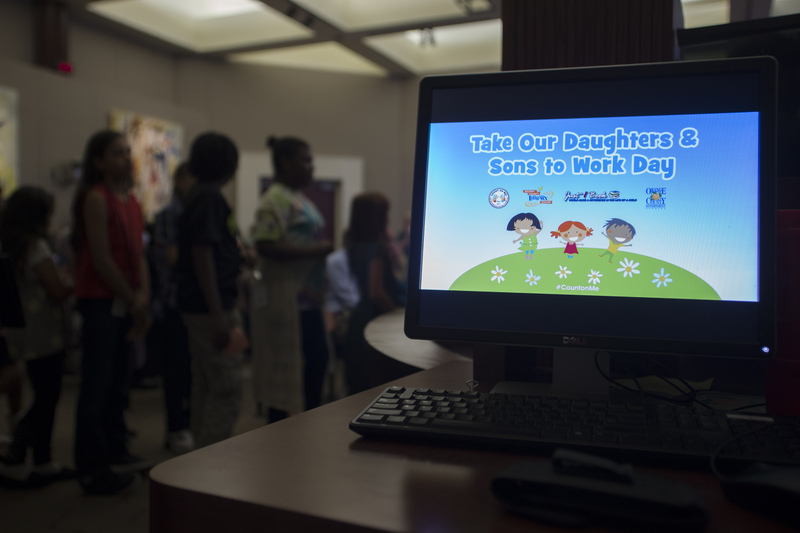 The main goal is to expose children to what their mom or dad does throughout the average work day, showing them the value of hard work and education. 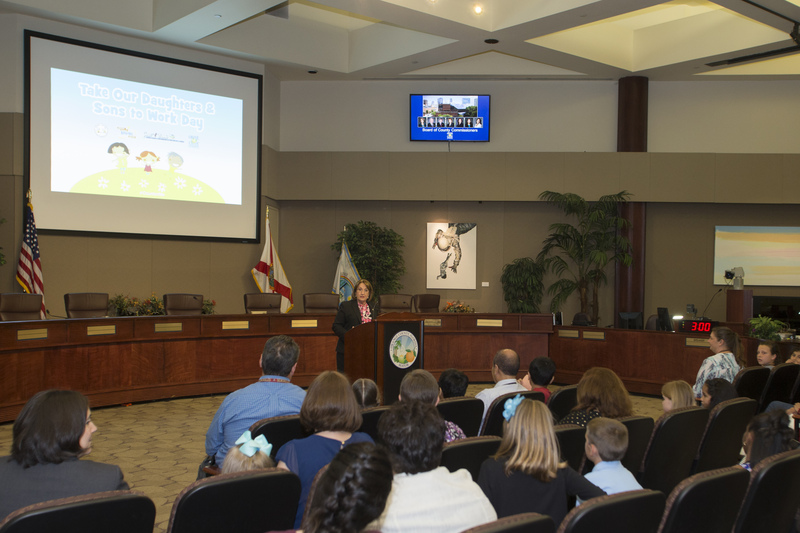 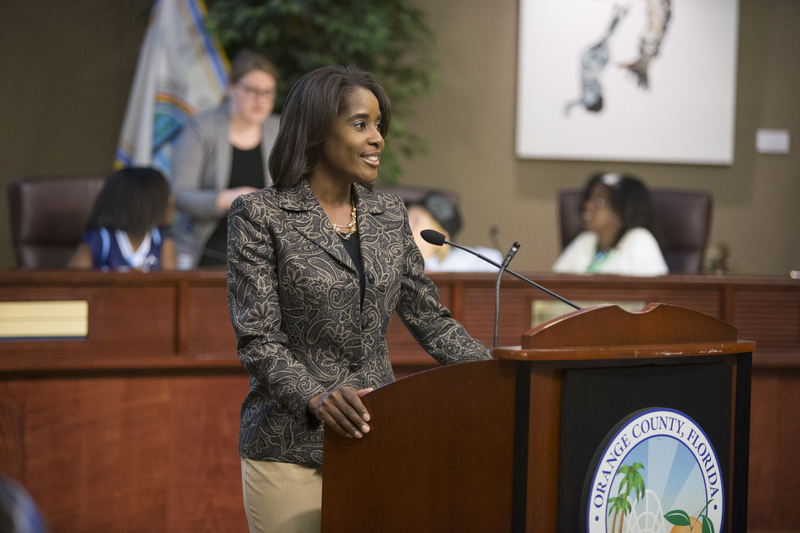 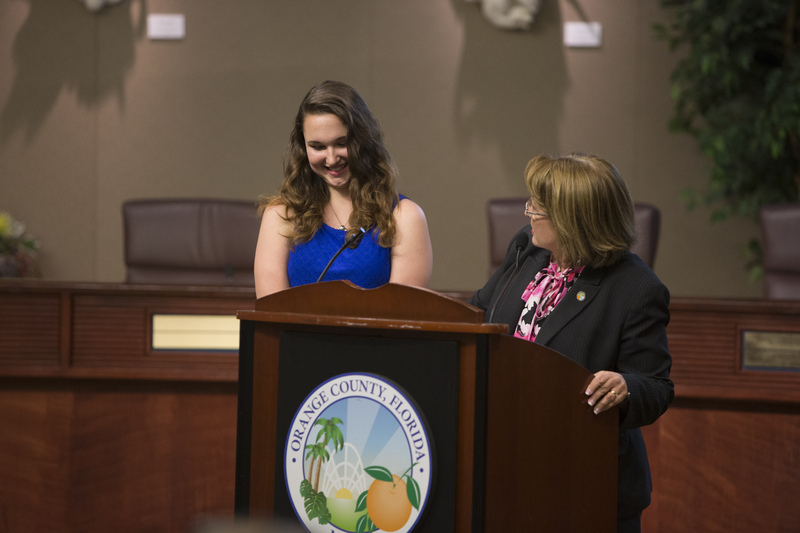 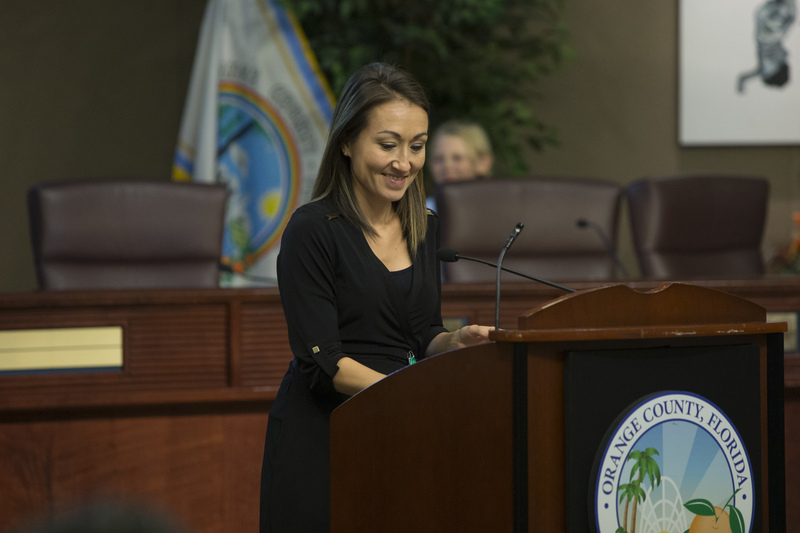 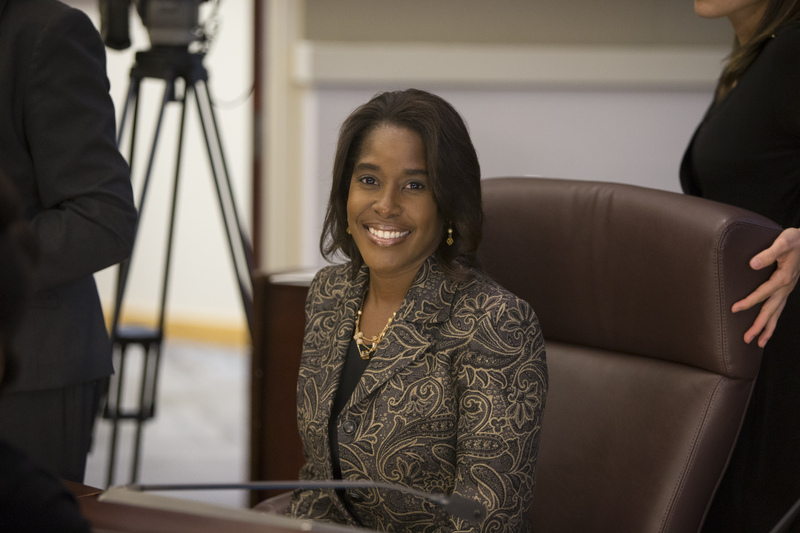 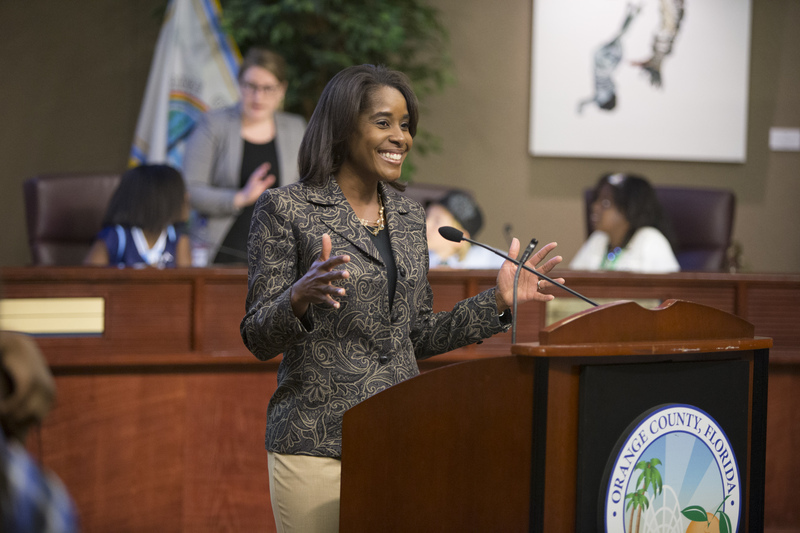 Orange County District 6 Commissioner Victoria P. Siplin welcomed participants, provided an overview of the local government process and how the BCC operates. 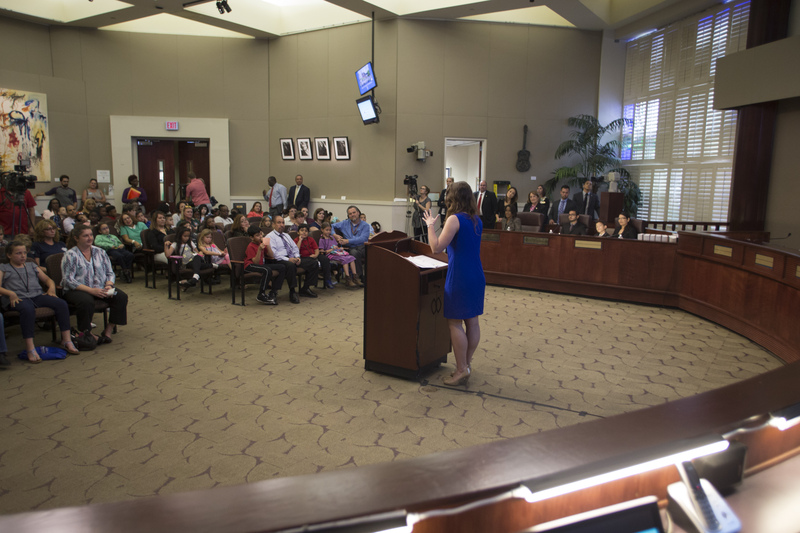 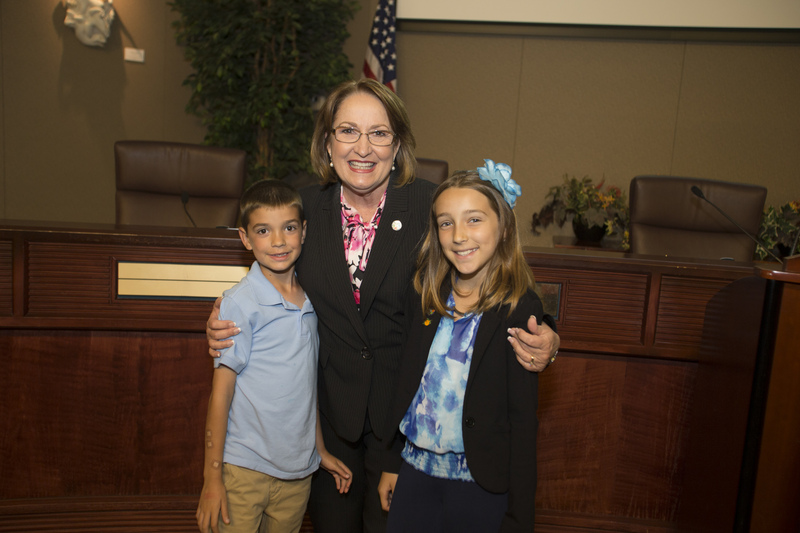 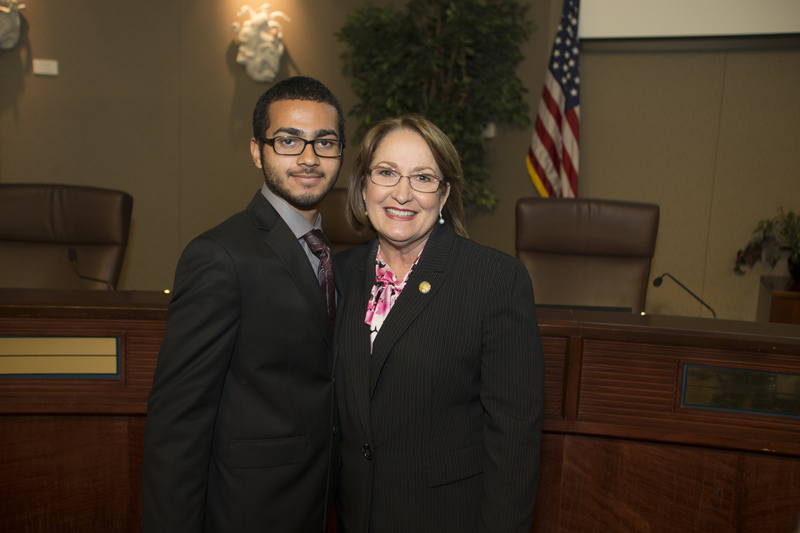 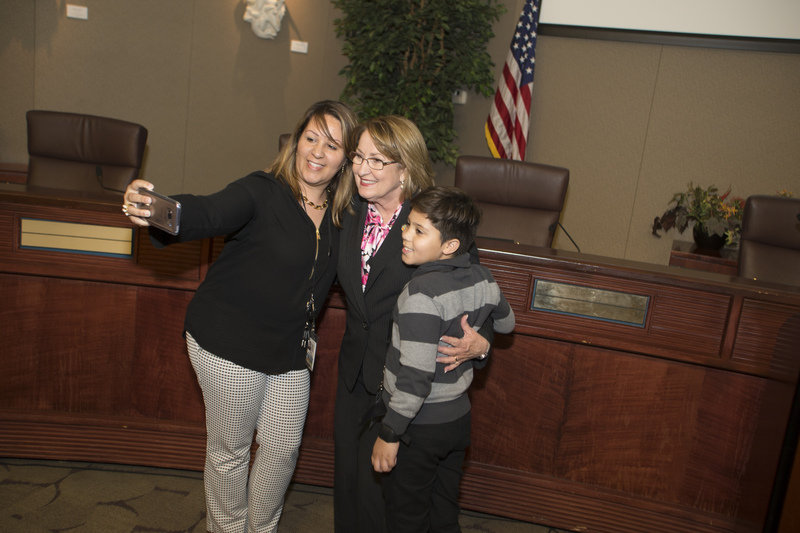 After the mock hearing, Mayor Jacobs spoke about her “Let’s Read” initiative, a partnership between Orange County Government, the Orange County Public Library System, the Orange County Citizens’ Commission for Children and Just 1 Book aimed at improving literacy and providing library cards to all Orange County residents. 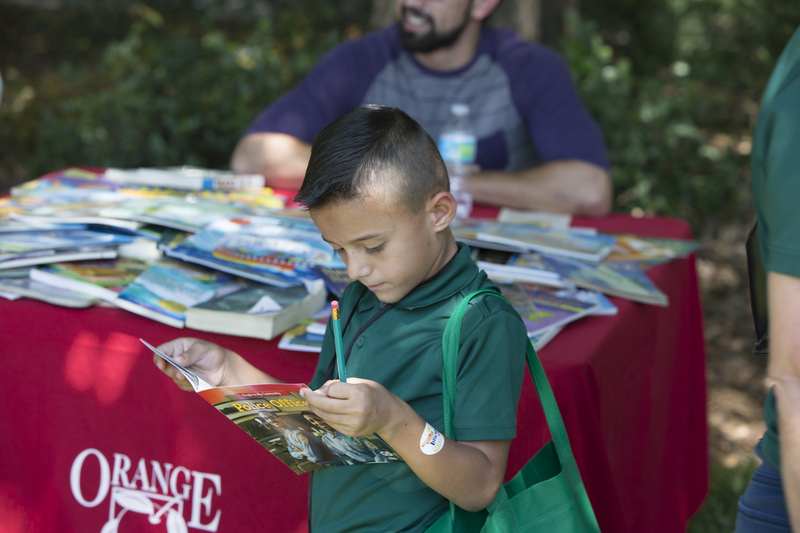 Children had the opportunity to sign up for library cards and learn more about Just 1 Book, a charity that collects and distributes books to children, including Orange County’s Head Start programs and other community organizations. 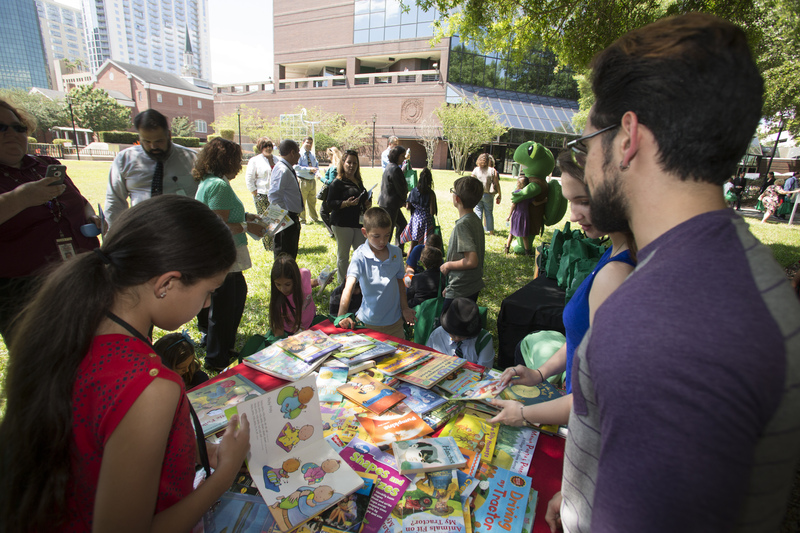 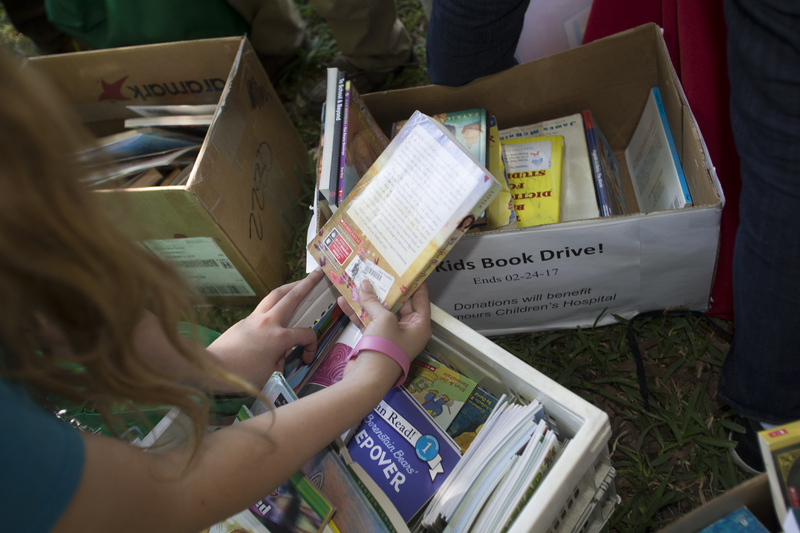 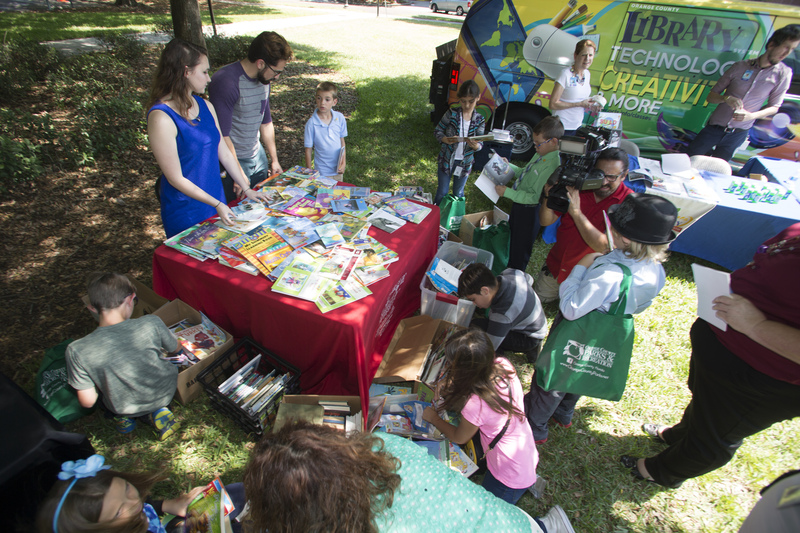 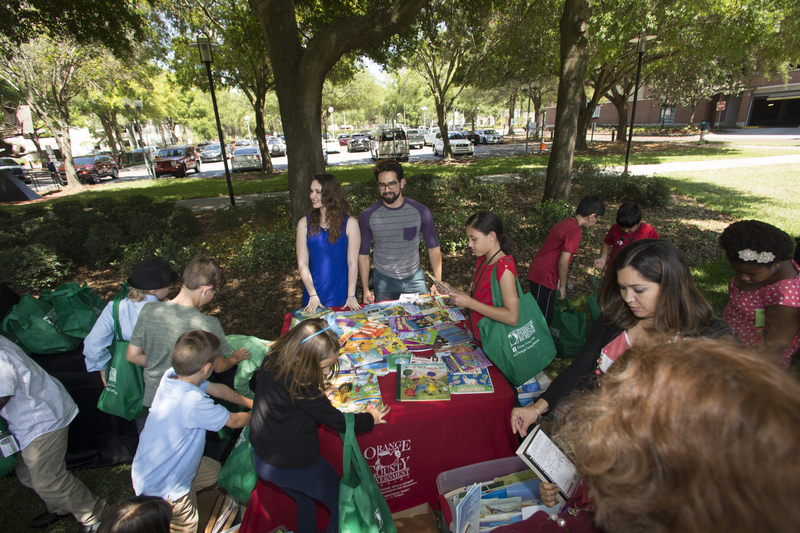 Founded by Orange County resident Sarah Dewitz, Just 1 Book has distributed more than 500,000 books to children in Central Florida. 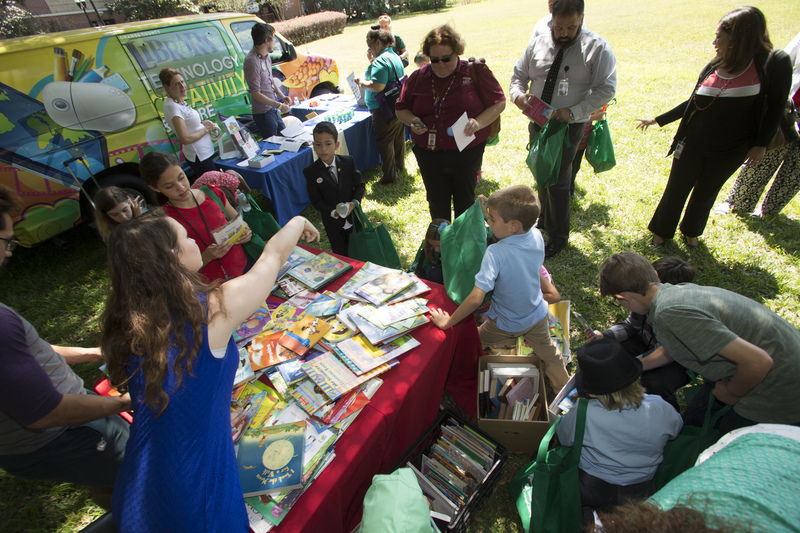 Orange County has proudly supported Dewitz since the inception of her organization, including the donation of the Just 1 Book Mobile – a van that was formerly used for Orange County Head Start – that is now used to collect and distribute books throughout the region. 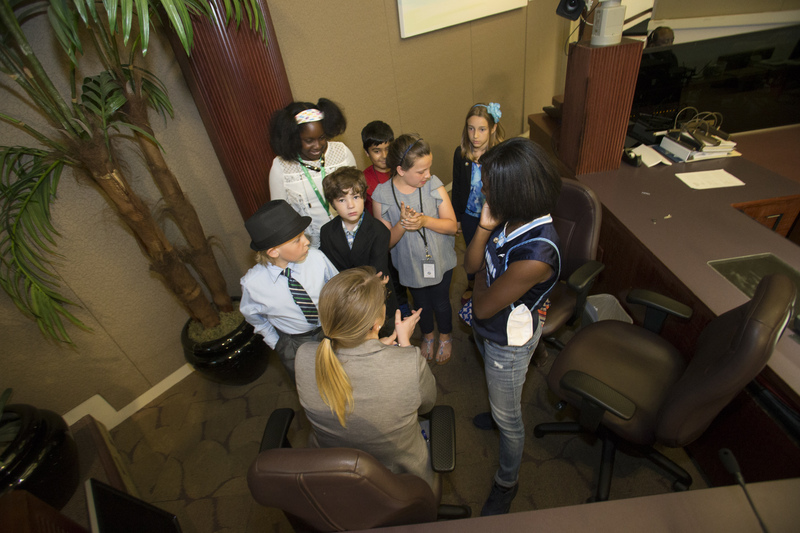 The national Take Our Daughters and Sons to Work program is now in its 24th year. 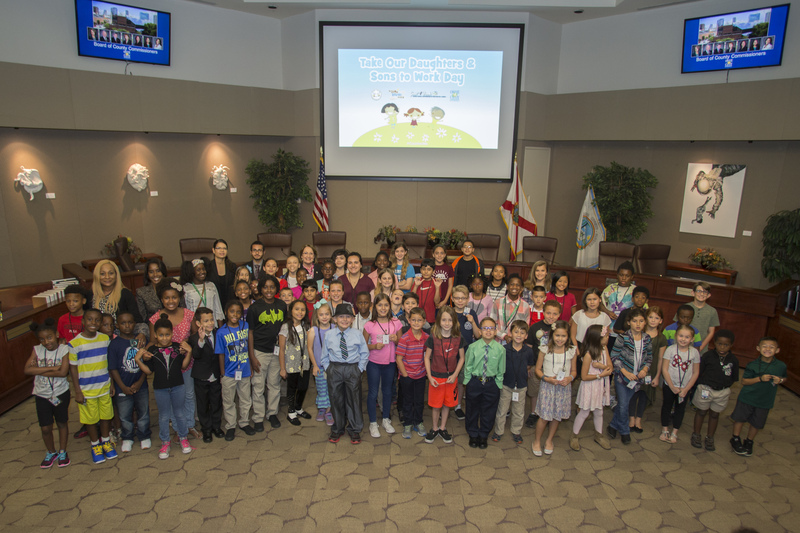 This year’s theme, “Count On Me,” shared what it means to be dependable and teach children why that skill is important in the workplace, their community and in their education.